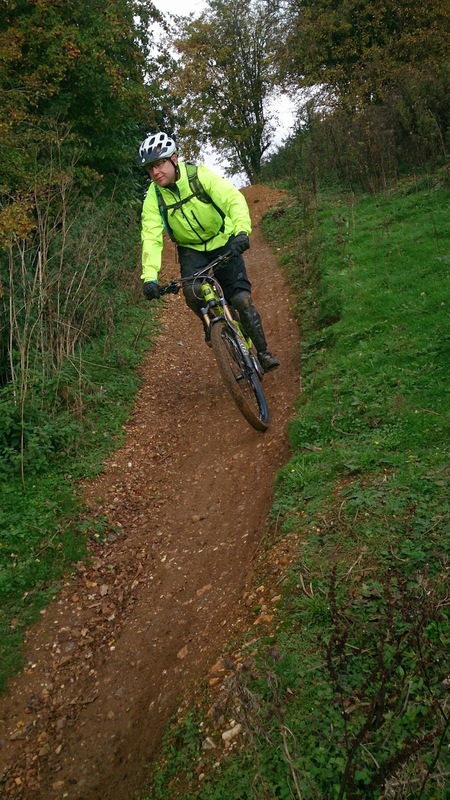 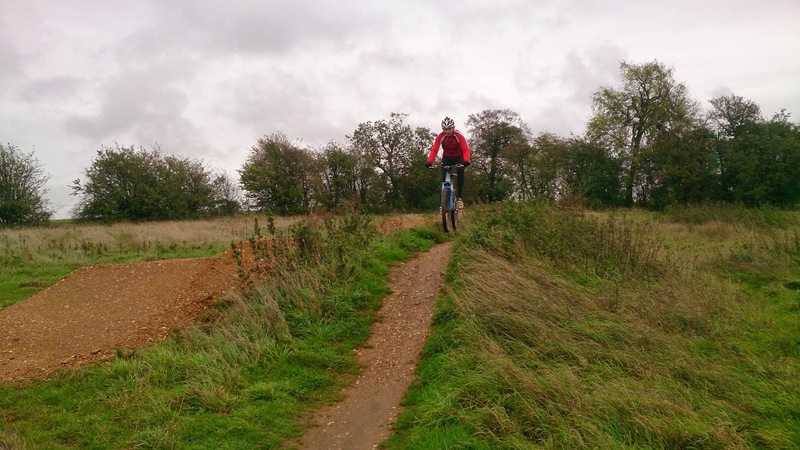 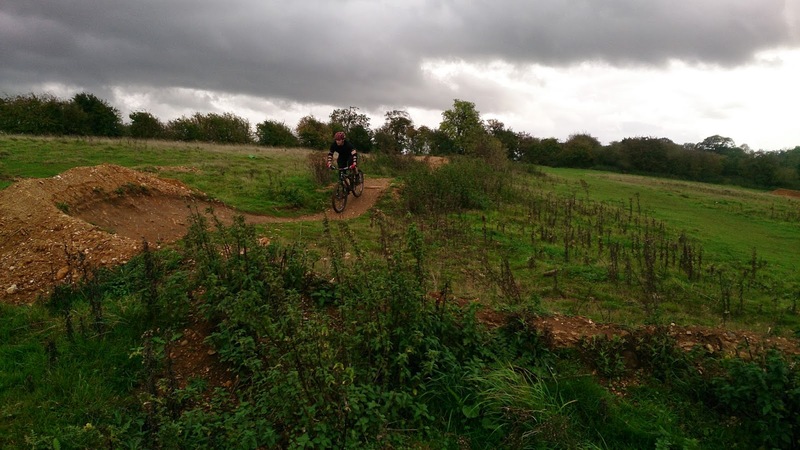 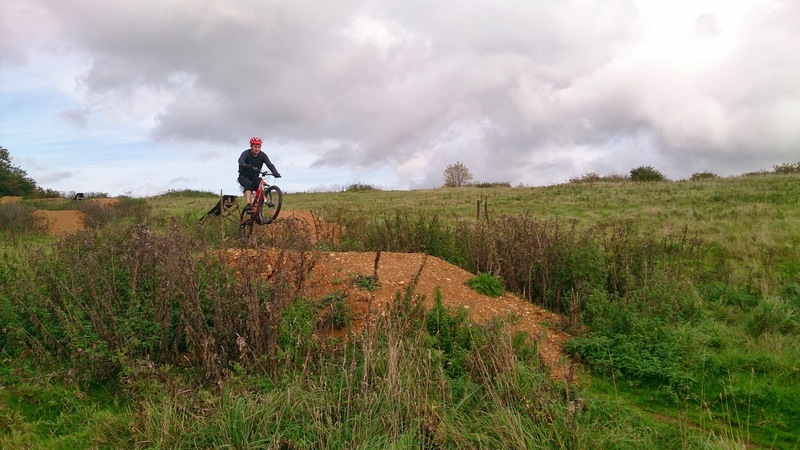 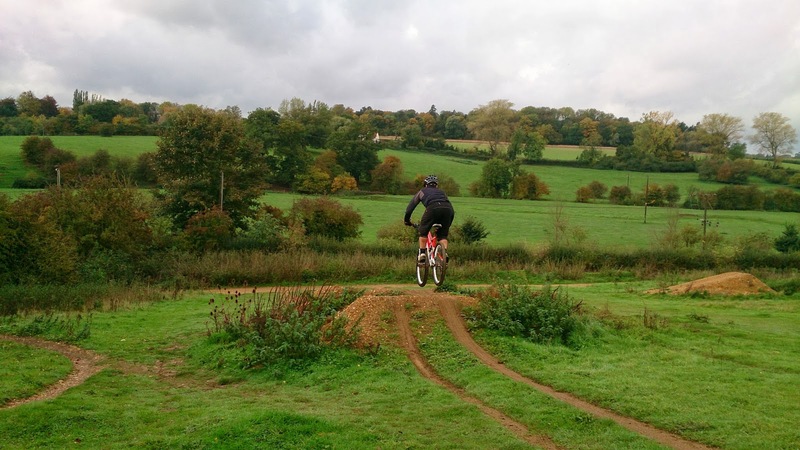 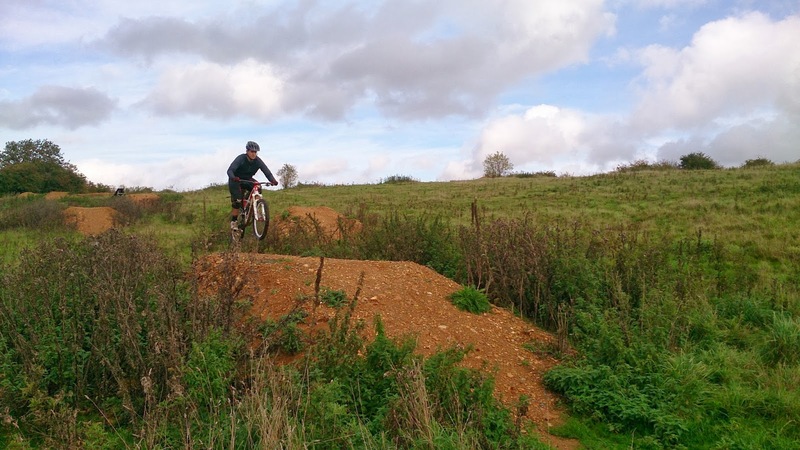 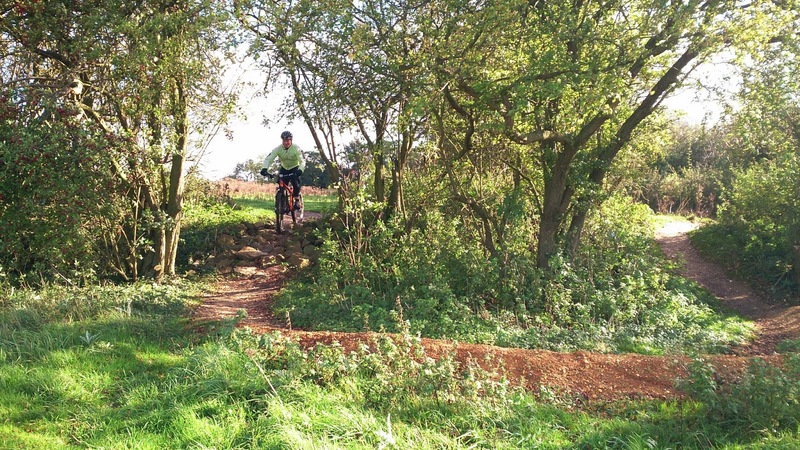 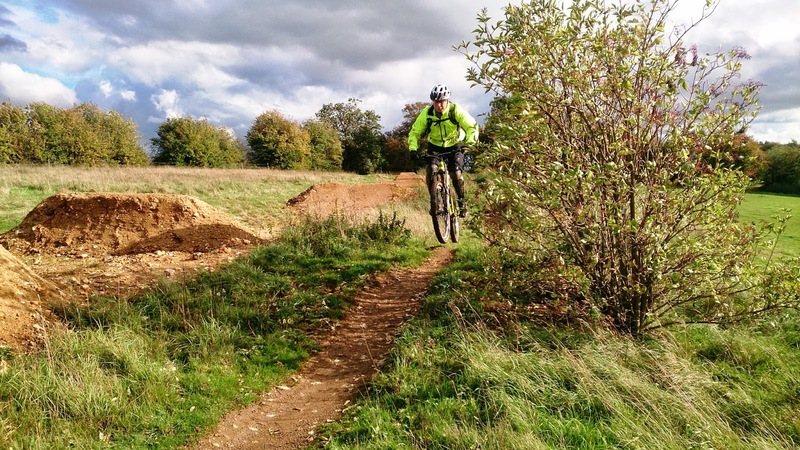 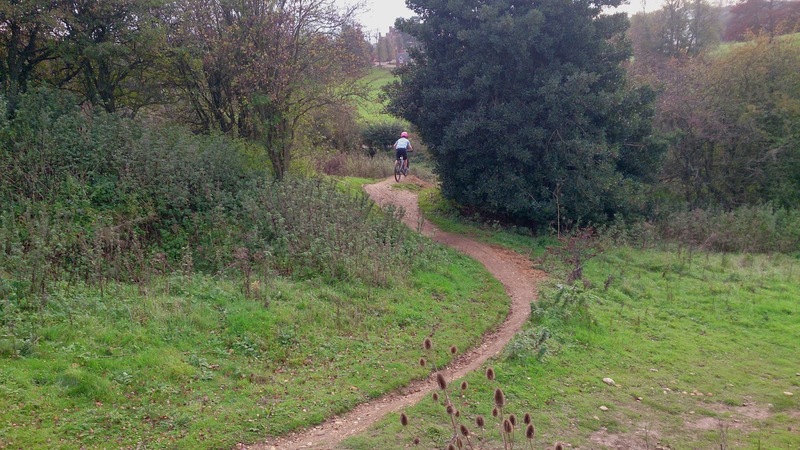 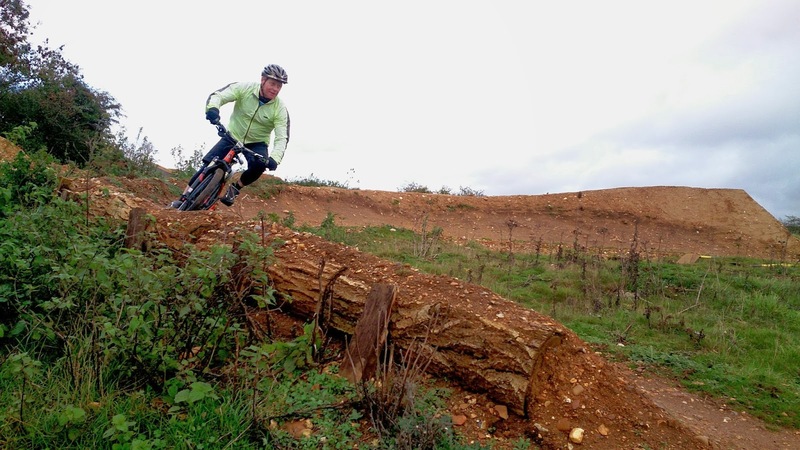 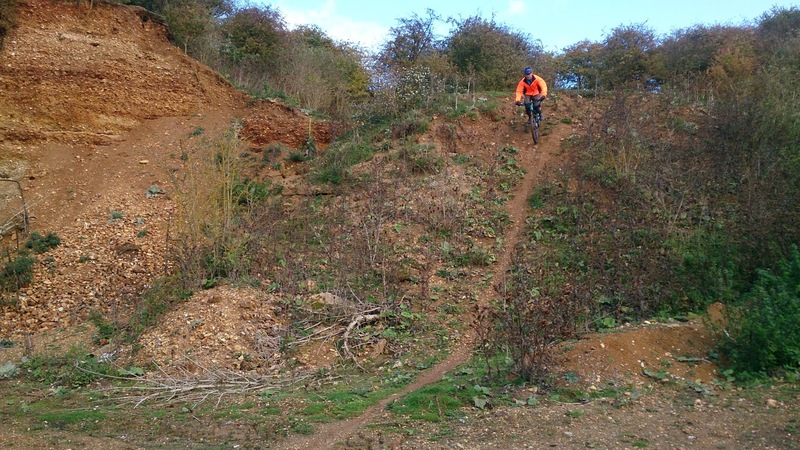 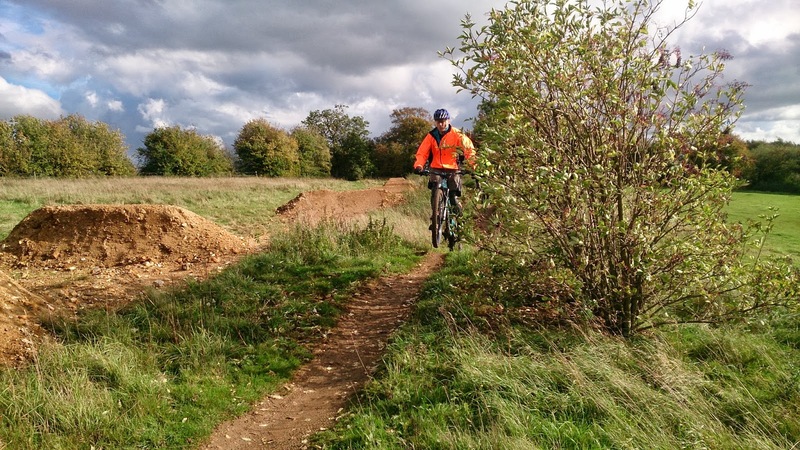 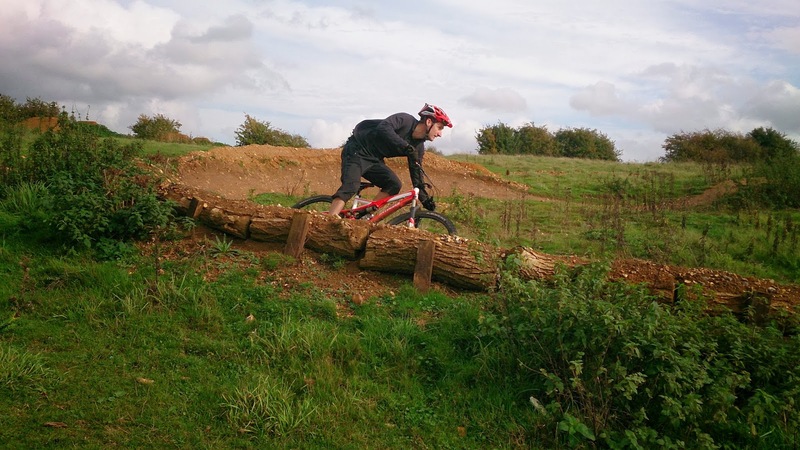 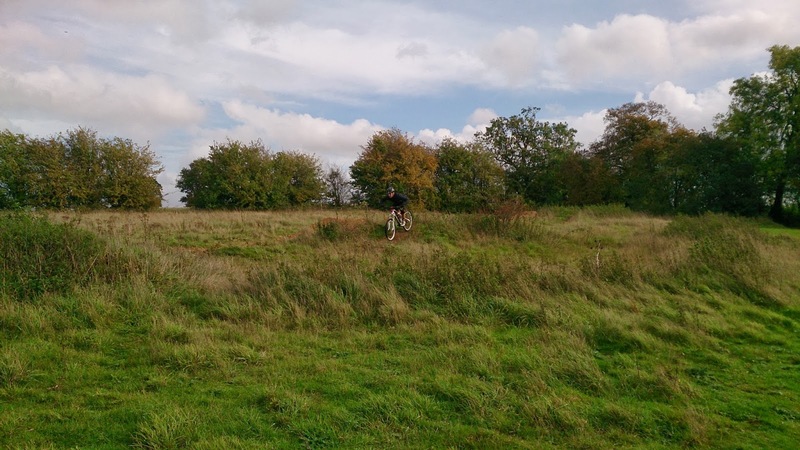 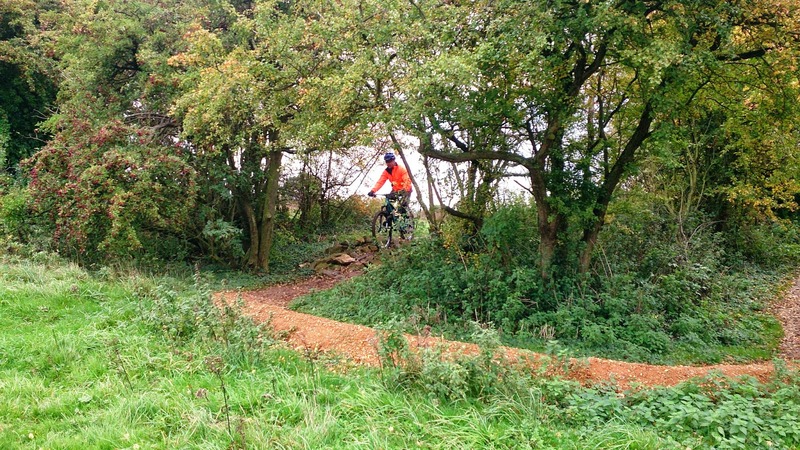 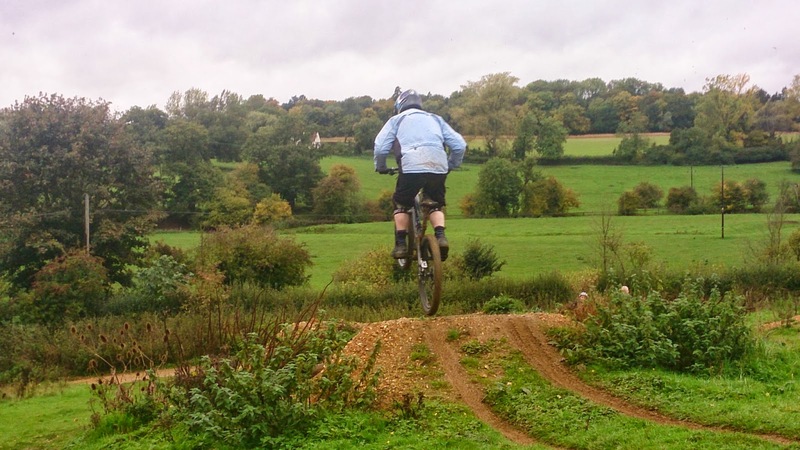 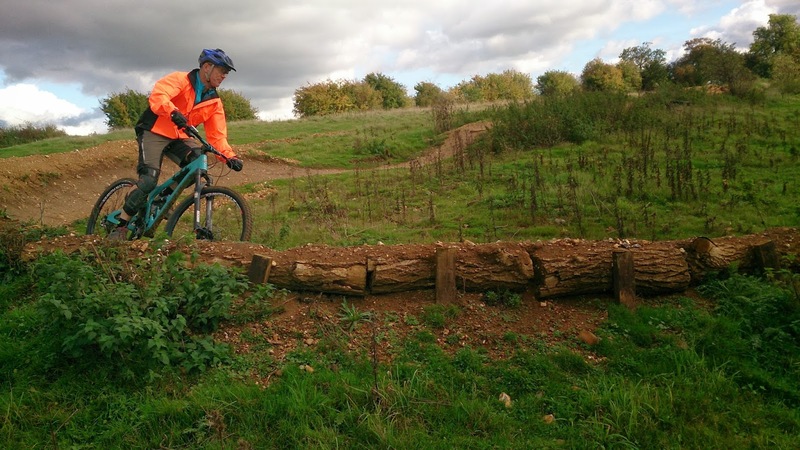 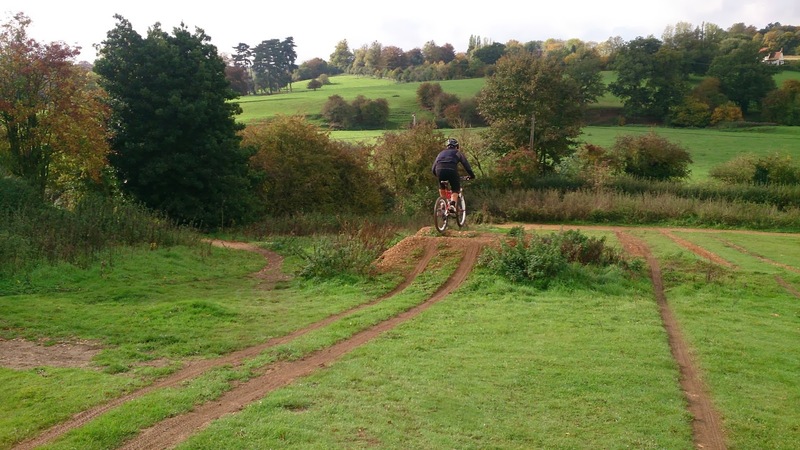 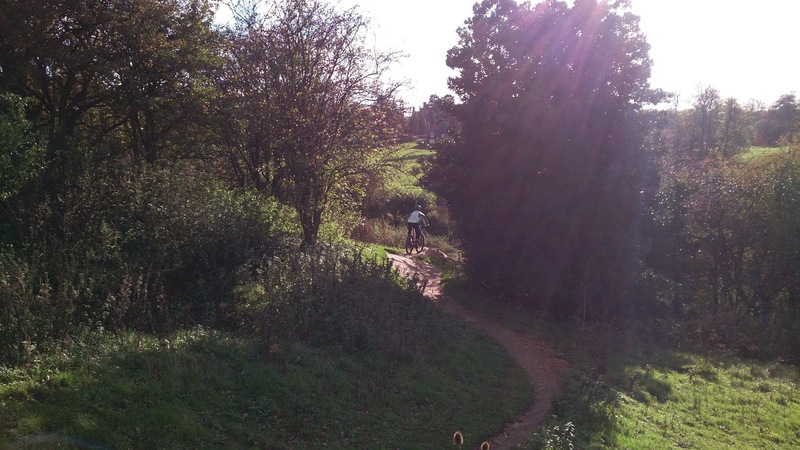 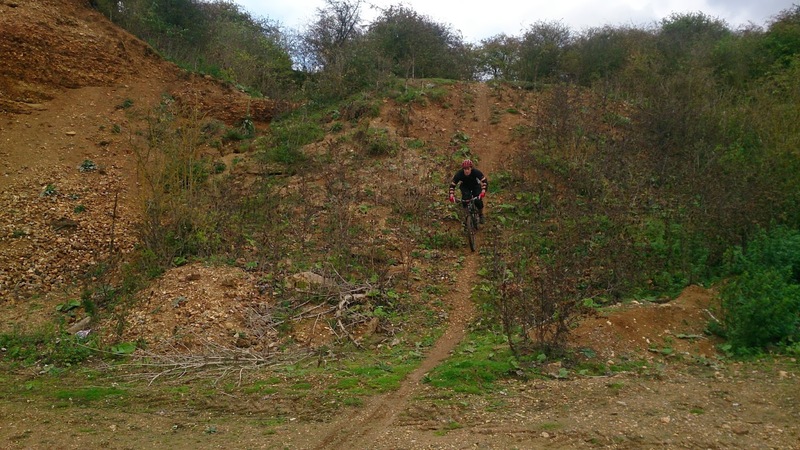 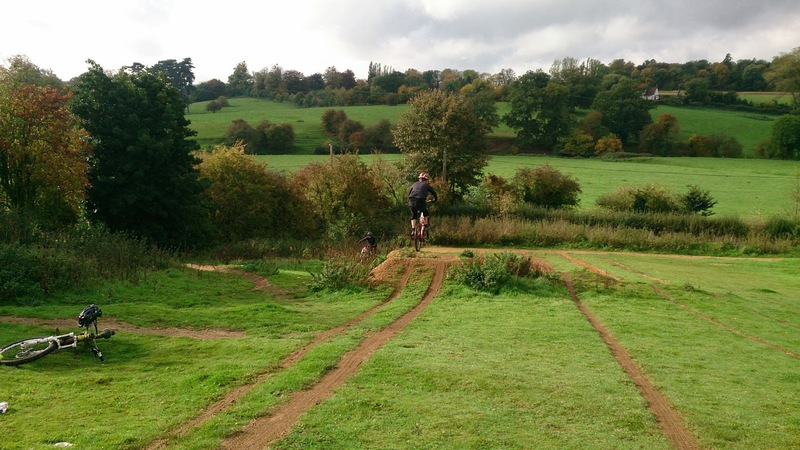 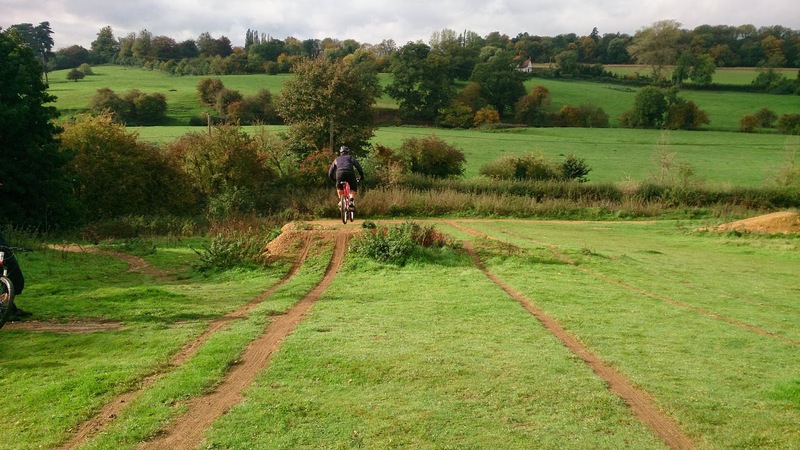 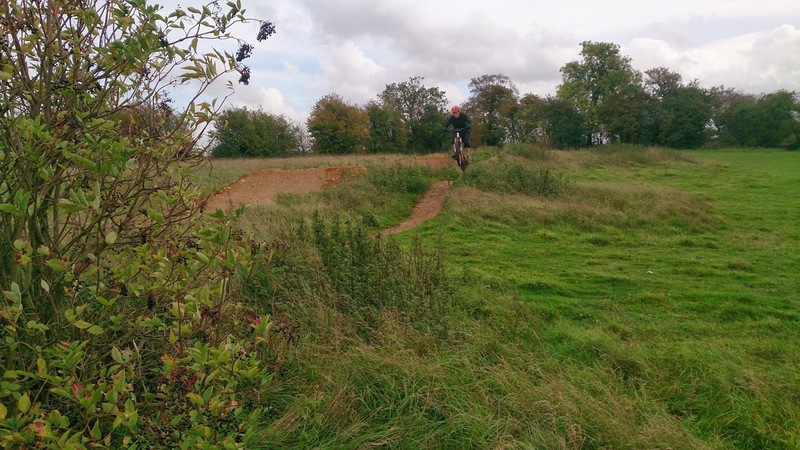 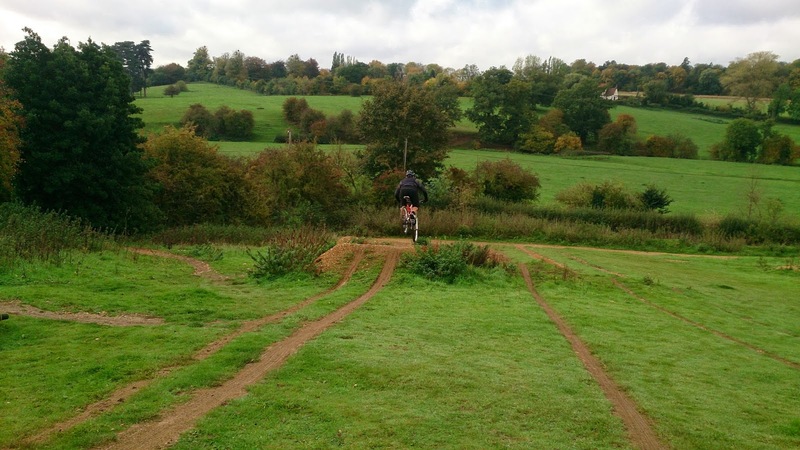 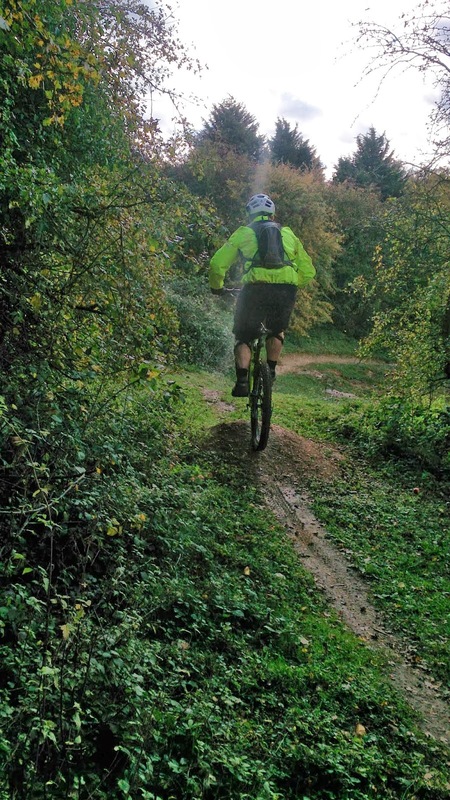 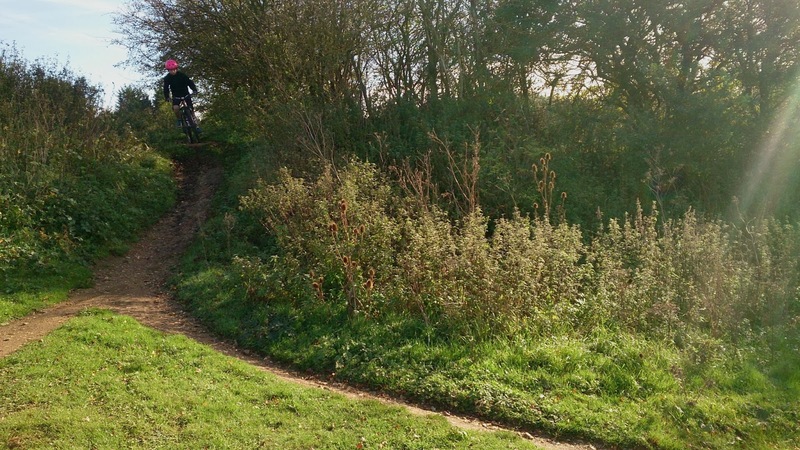 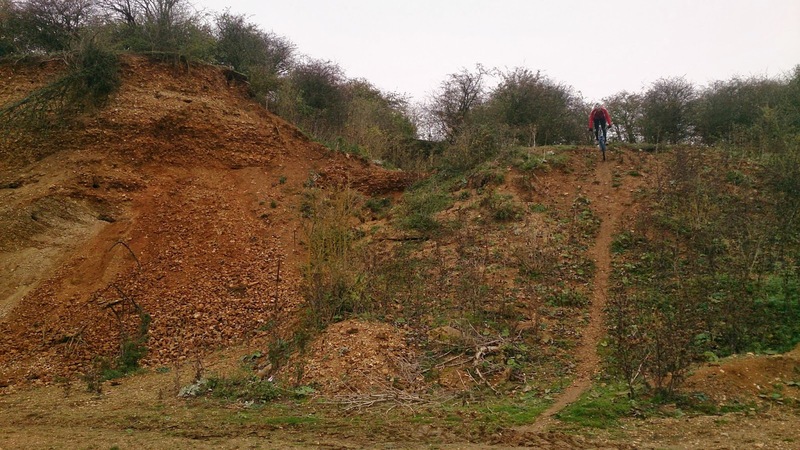 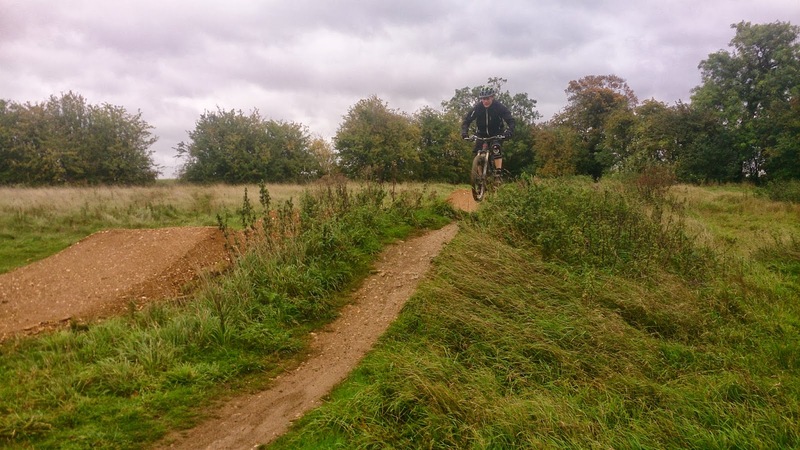 Gordon came to me for a session last year and wanted to build on the singletrack skills we covered back then and further his riding some more. The skills check showed me that he’d worked hard on his skills set and that he’d a body position fault on turning left. 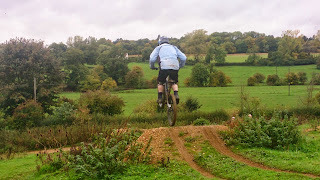 I set about correcting this and also moving his riding on. 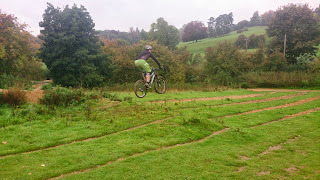 The drop technique was something we warmed up on and I was able to teach him to style in the air once his body positioning was correct. 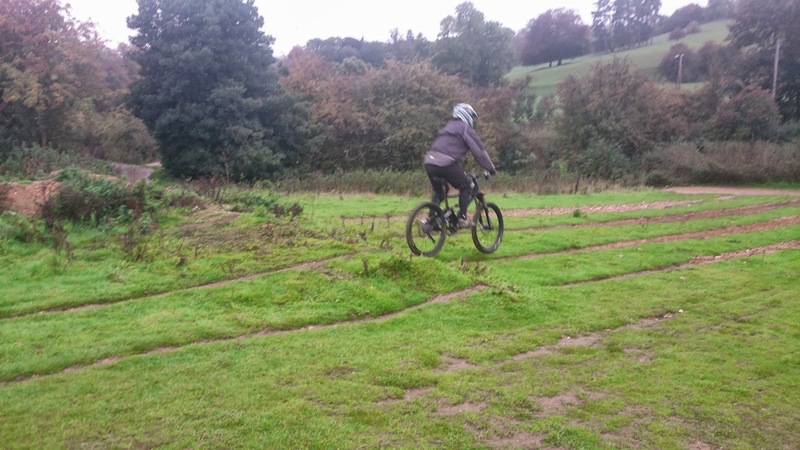 We then moved to the skills trail and worked on cornering and absorbing sections at speed rather than taking off, that would come later. I worked on his line choice and soon the left handed bias was corrected in his cornering. Onto the pump and jump trail and I worked again on absorbing and pumping to gain speed through multiple sections of the trail and see how far out of a berm he could carry his speed uphill. Gordon really got to grips with this and could feel when it was right. 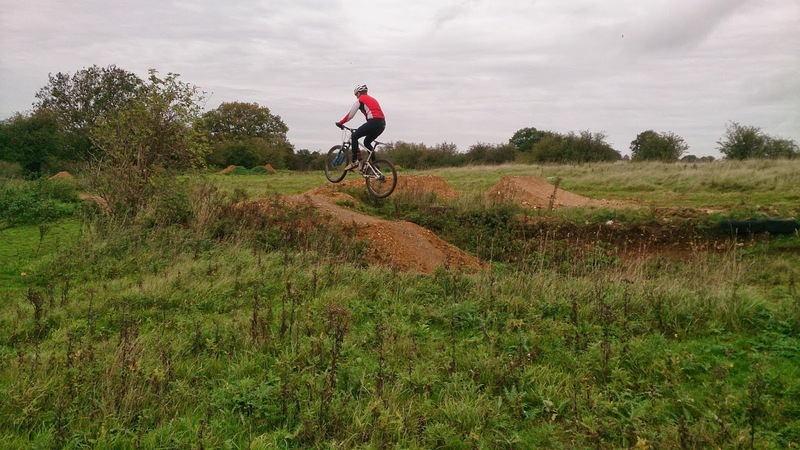 I moved onto the 6ft tabletop and showed why his skills sets applied to jumping and soon he was clearing the tabletop and then used his mental skills to decide to ride his 1st ever gap jump. 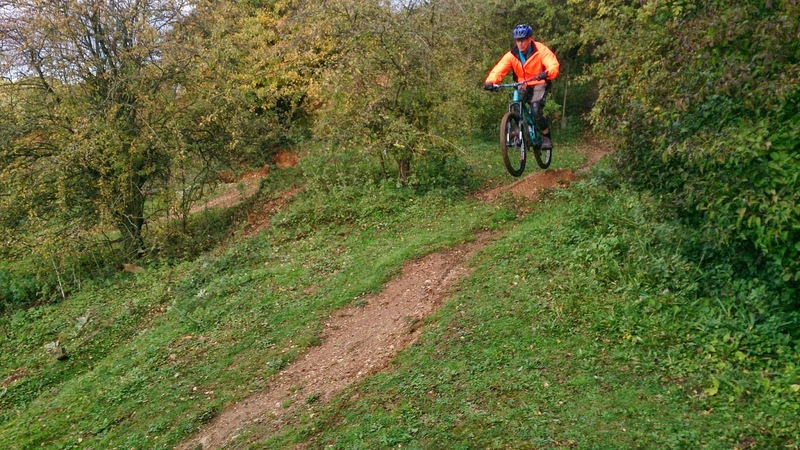 After a good few clears of the gap jump we took a break and resumed on another trail and worked on different ways of riding drop offs and linking sections on a much faster trail. 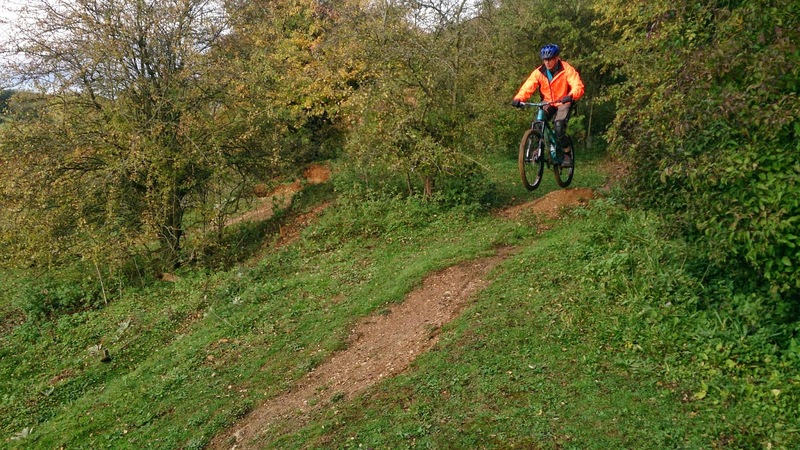 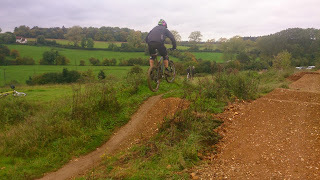 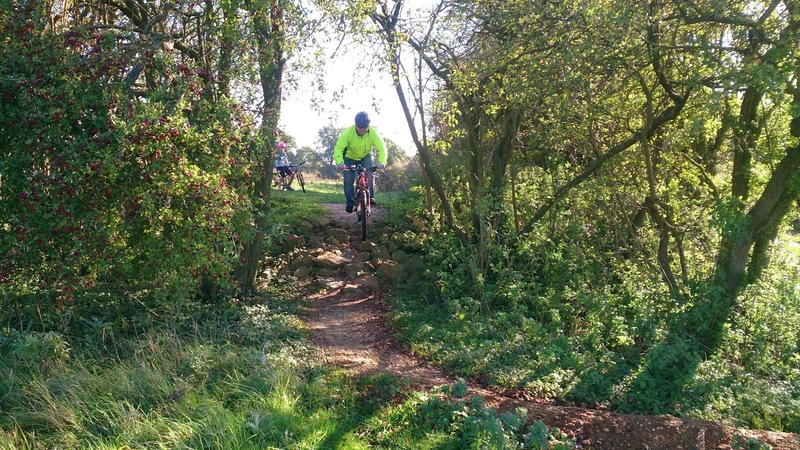 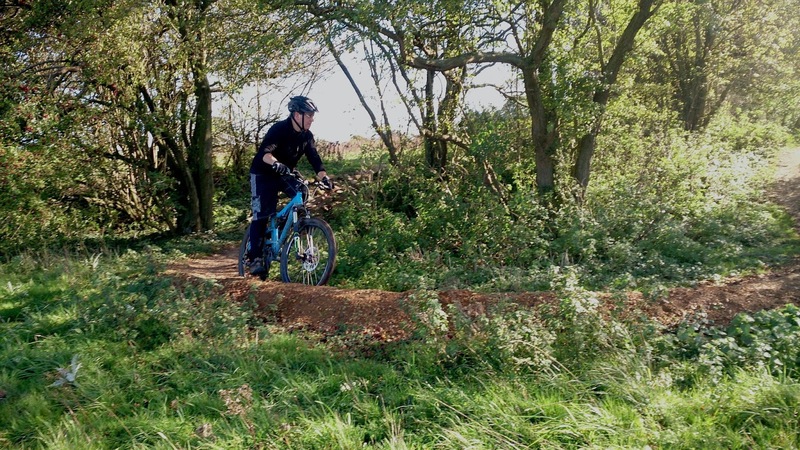 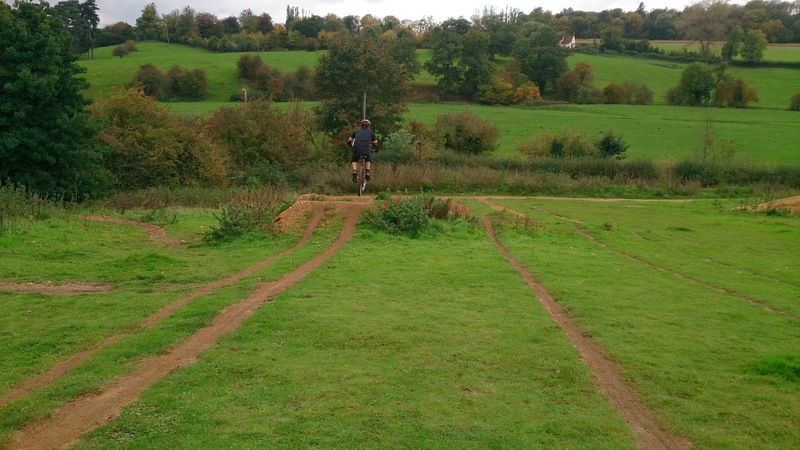 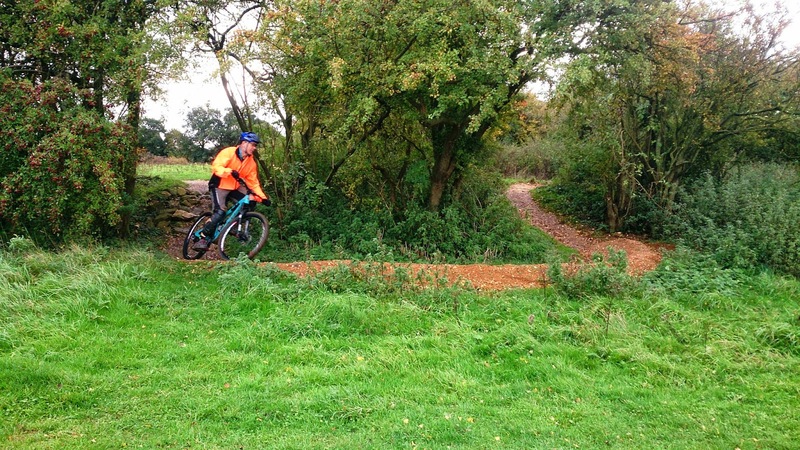 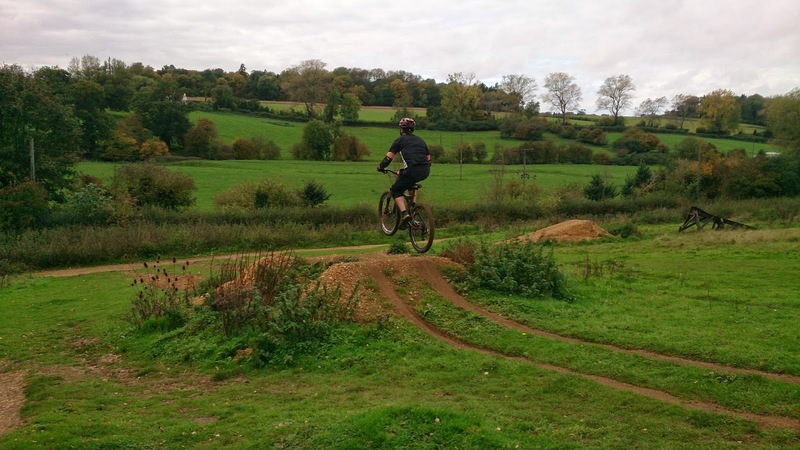 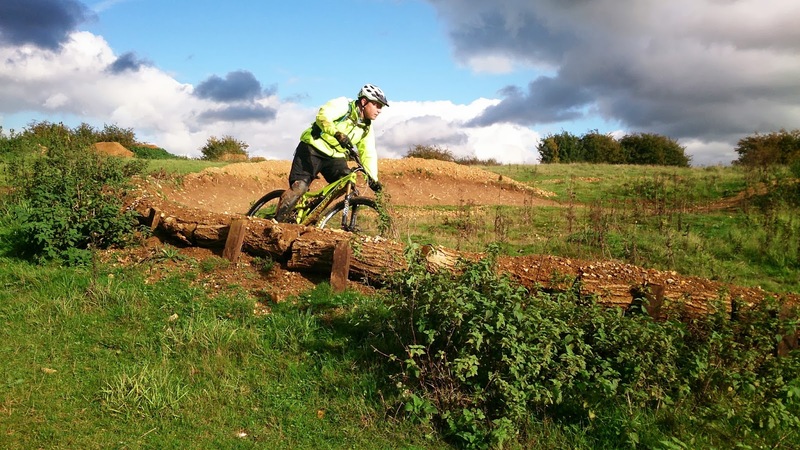 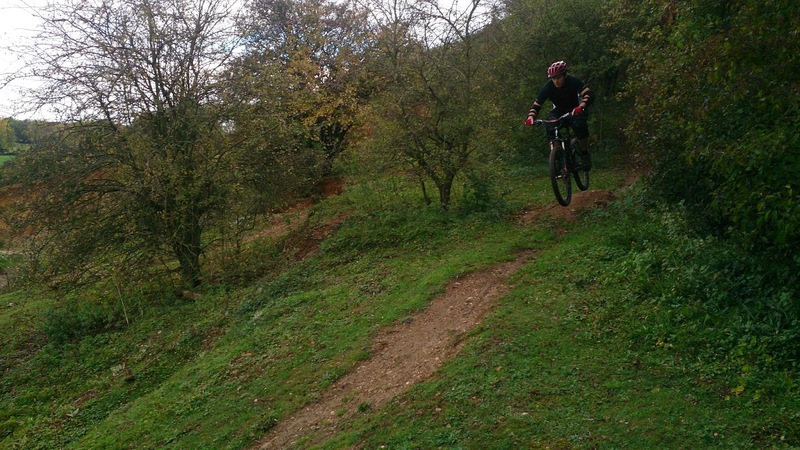 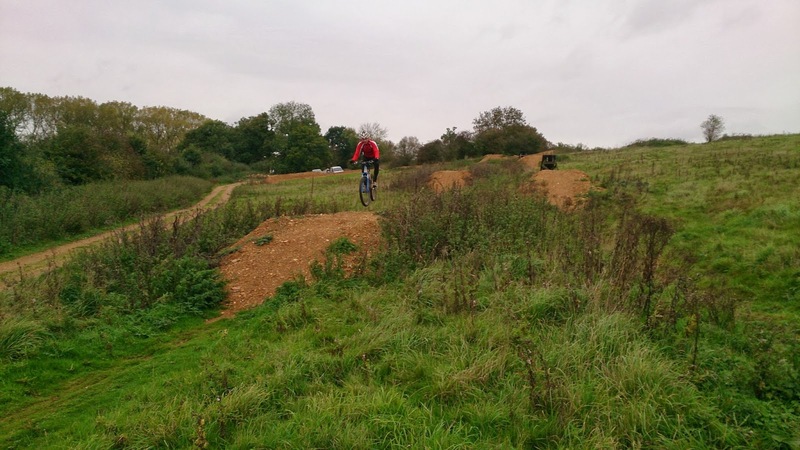 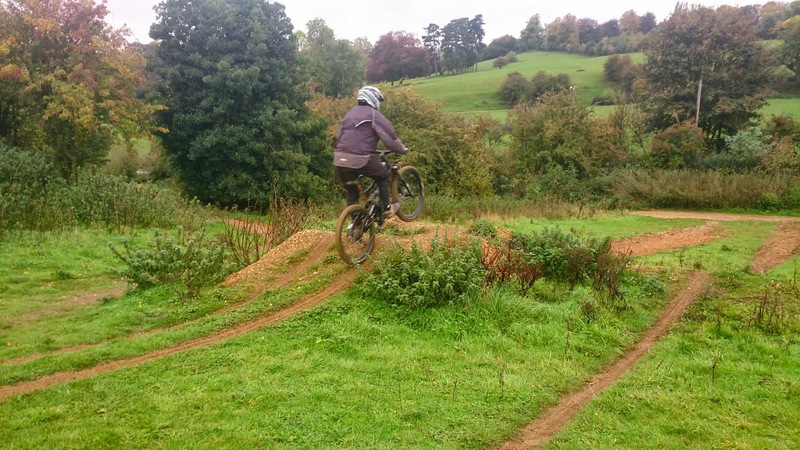 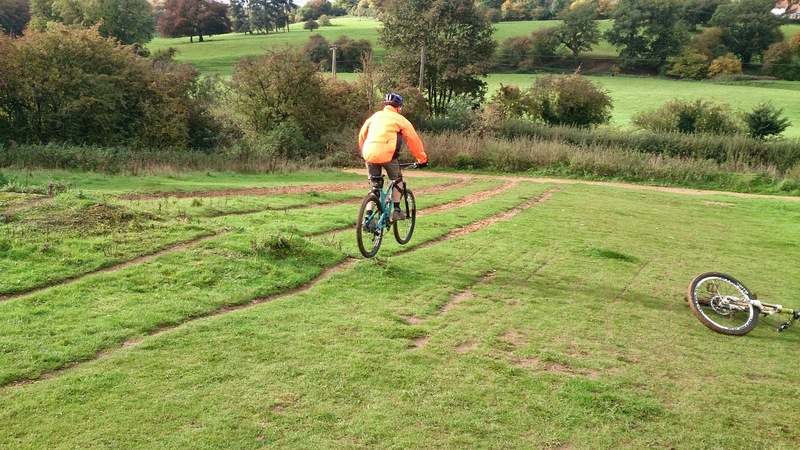 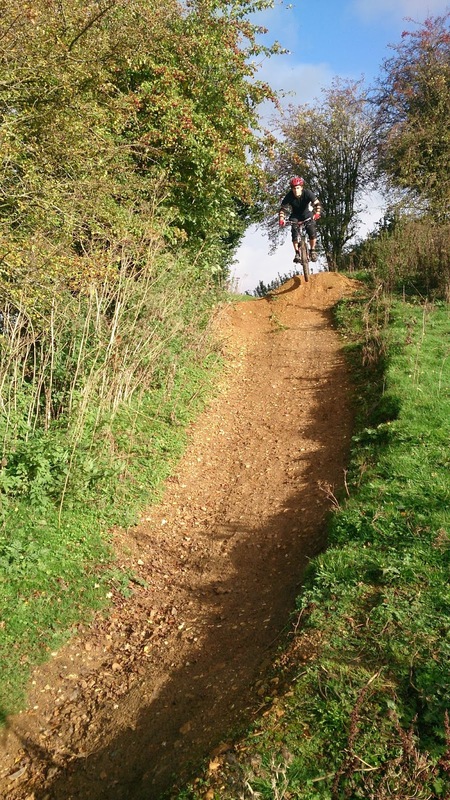 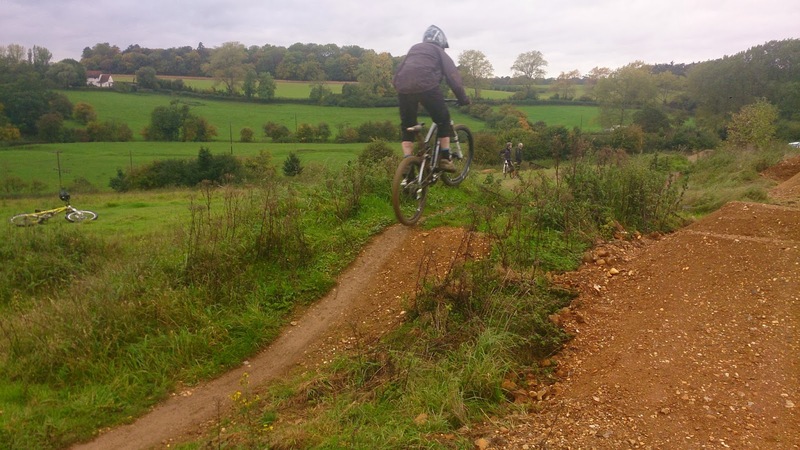 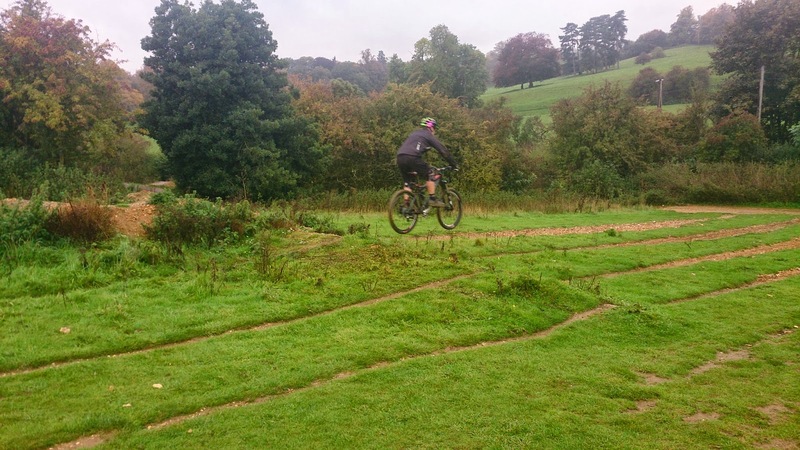 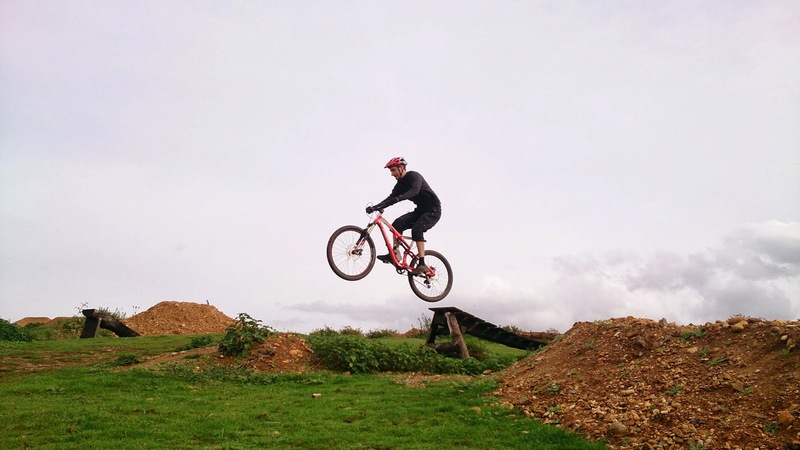 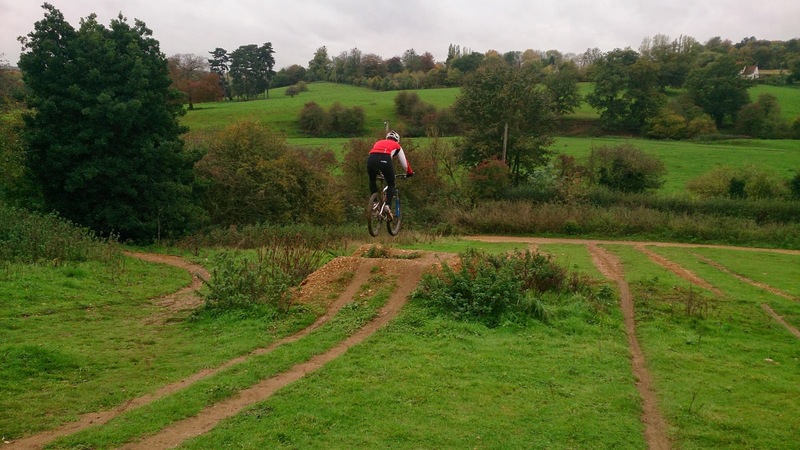 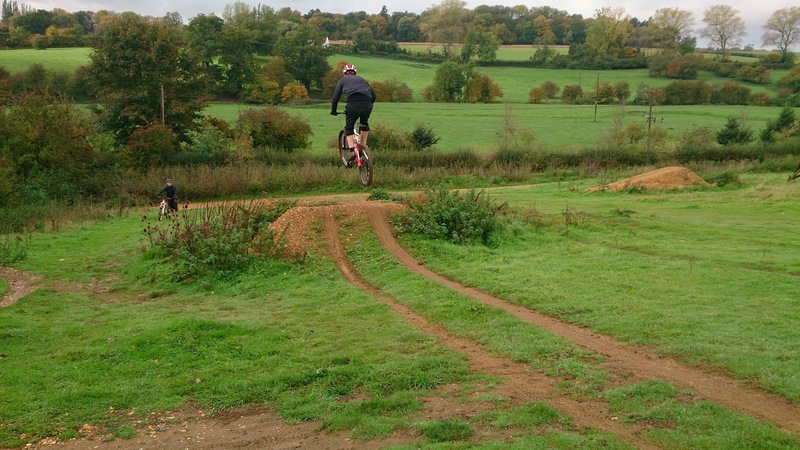 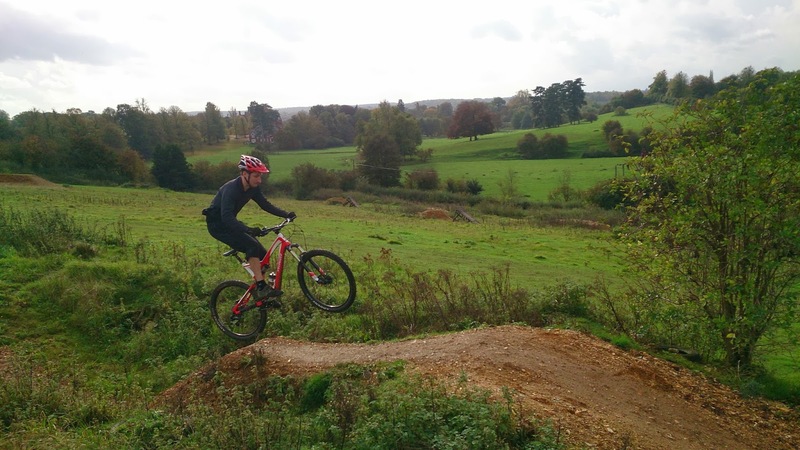 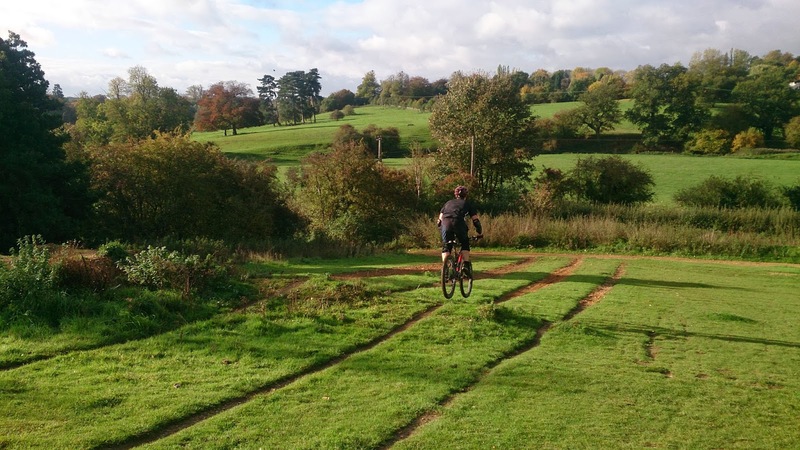 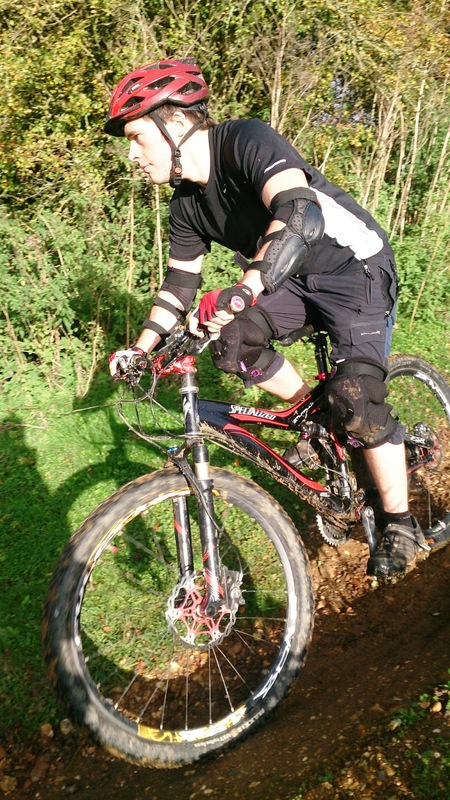 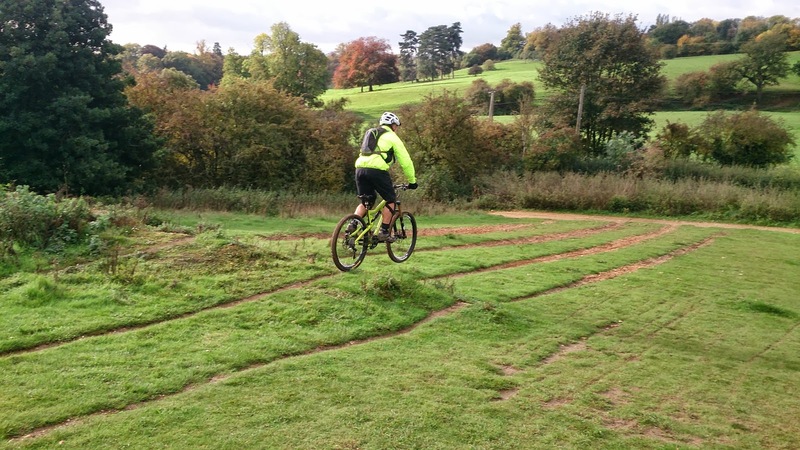 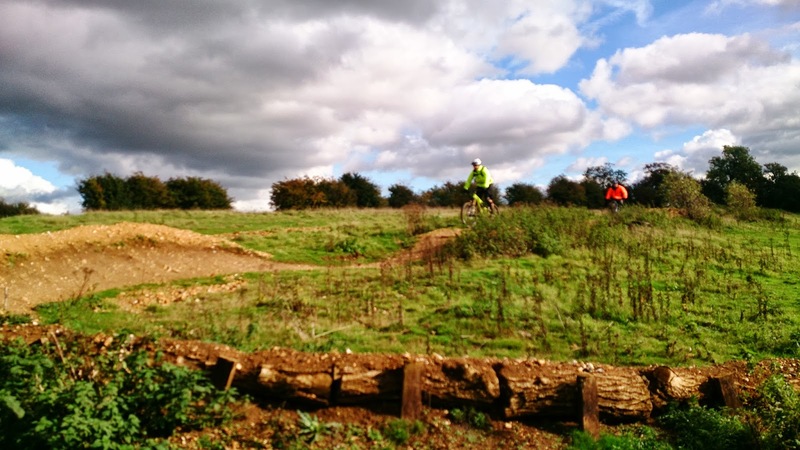 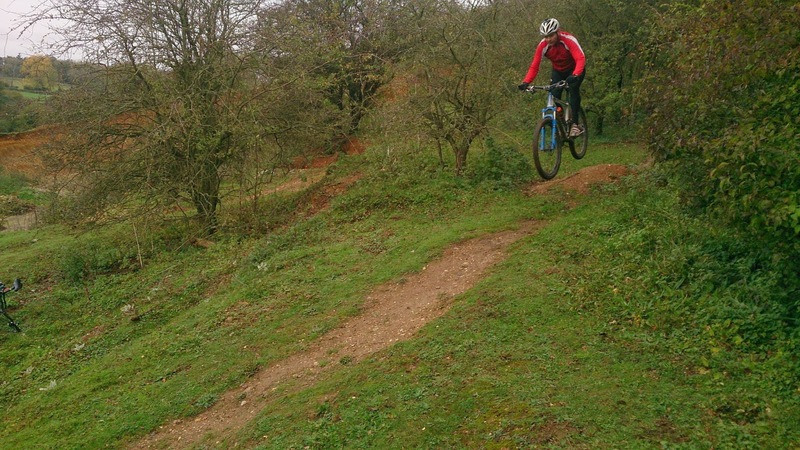 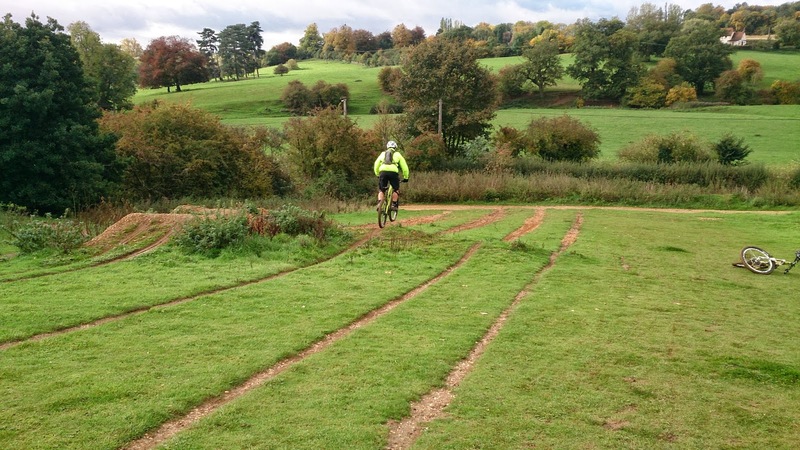 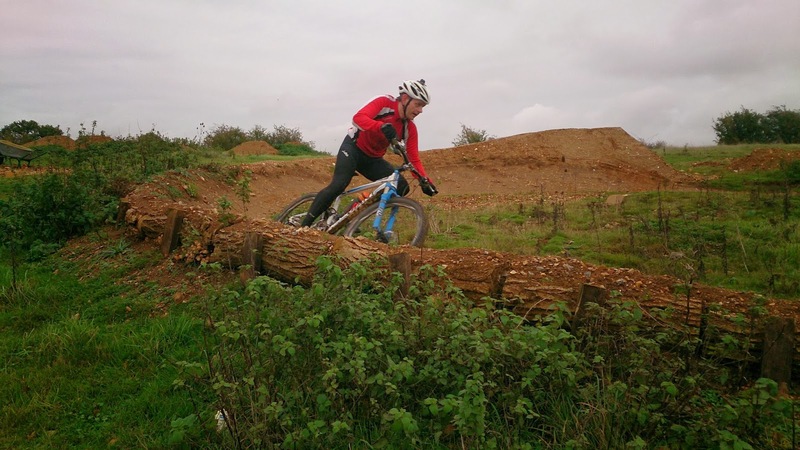 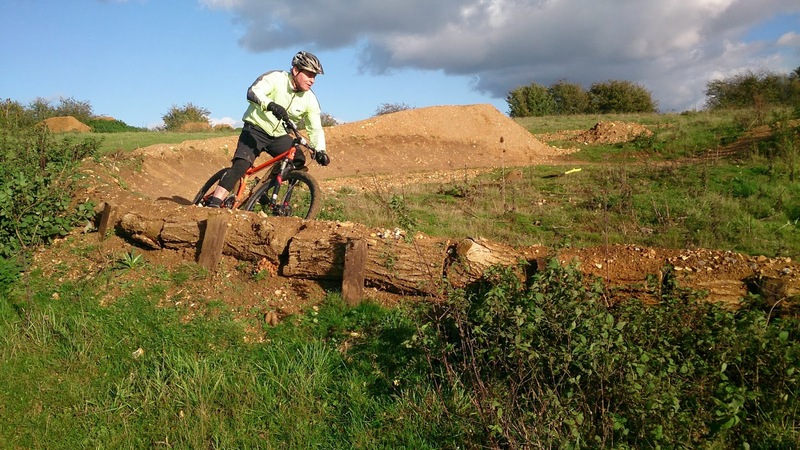 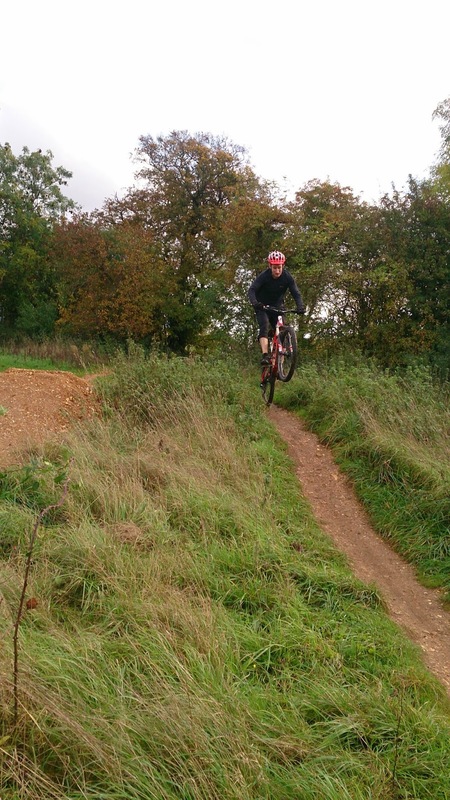 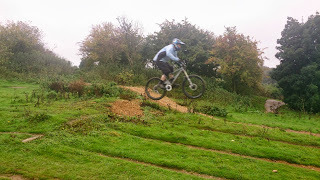 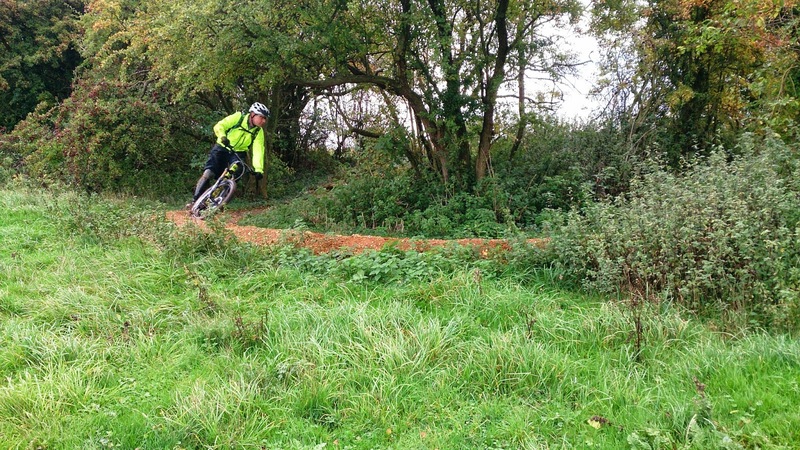 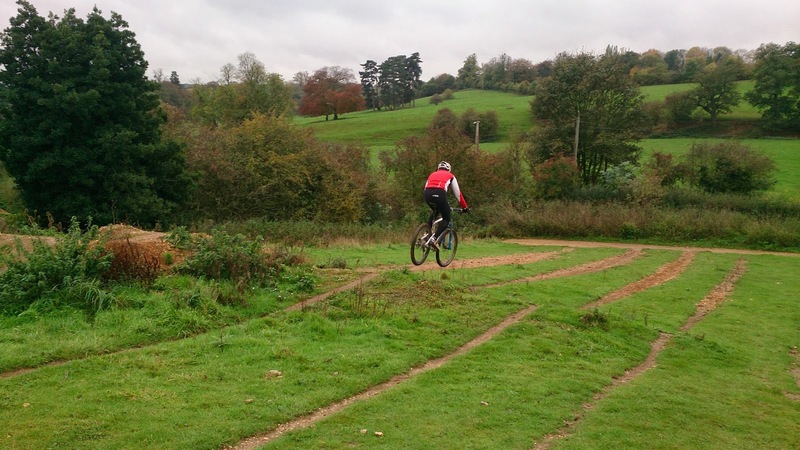 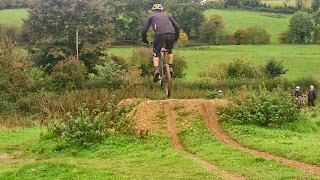 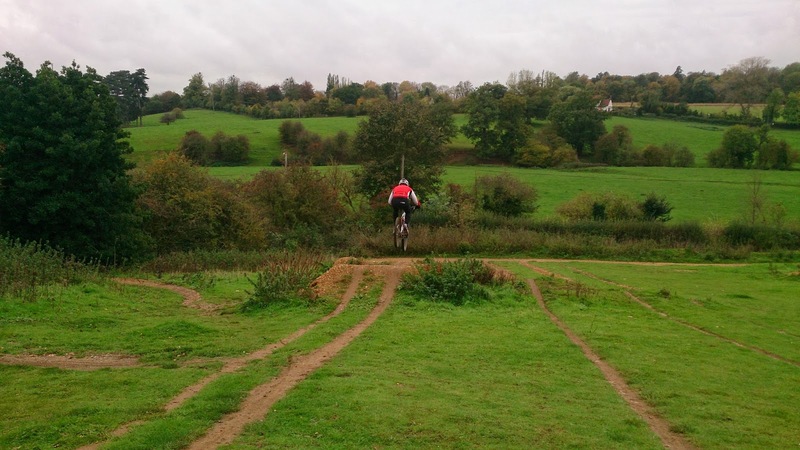 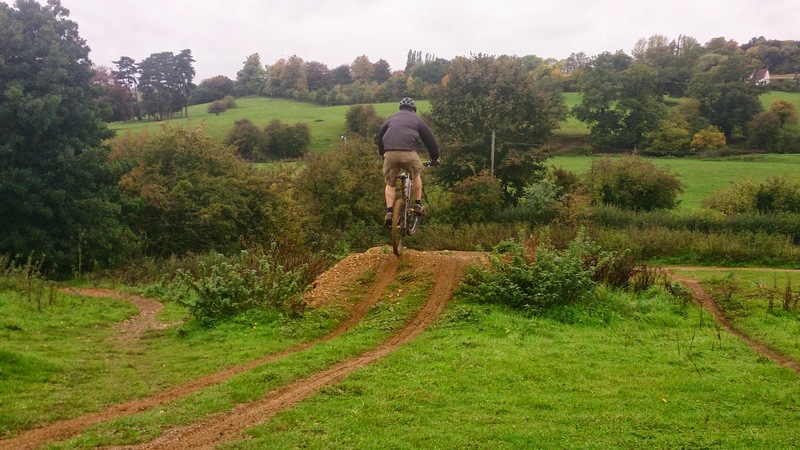 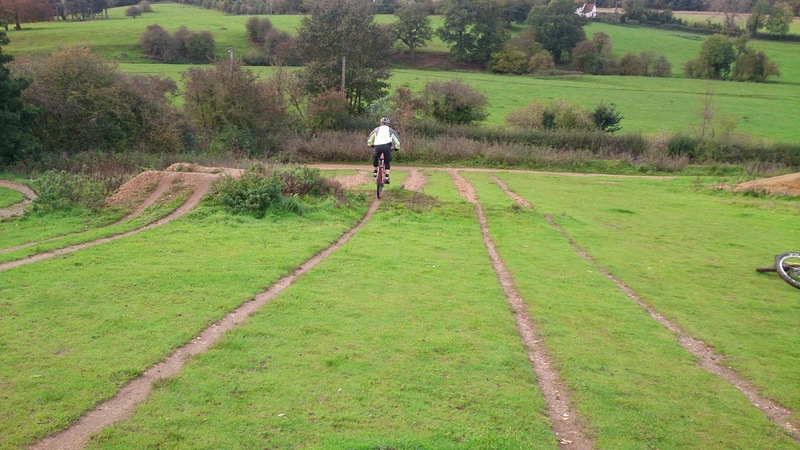 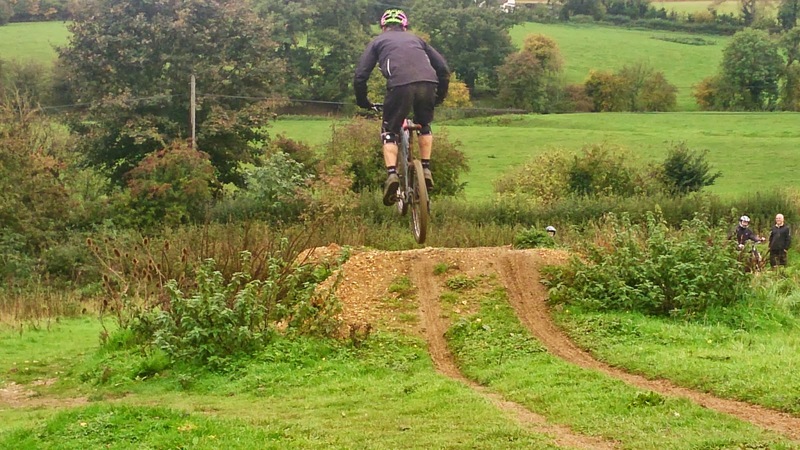 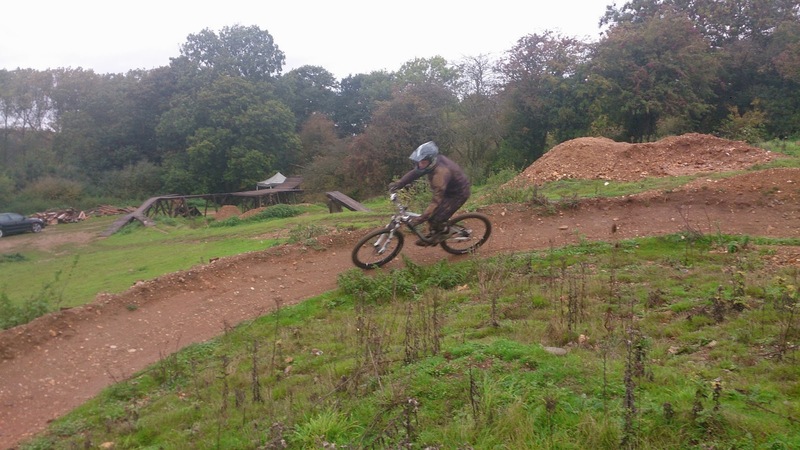 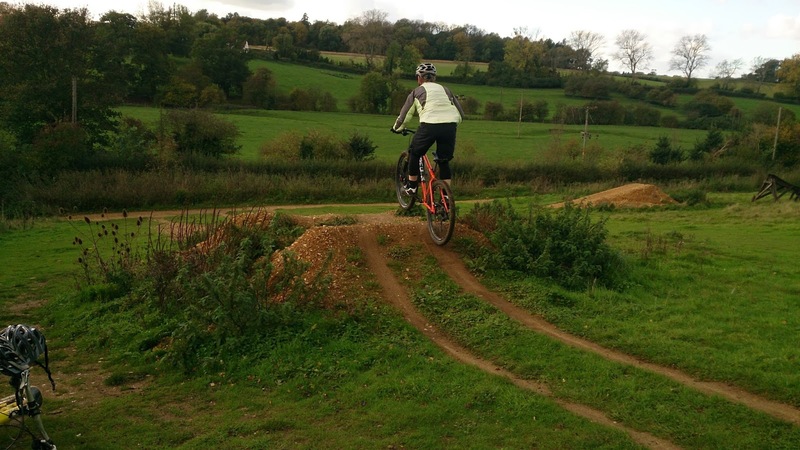 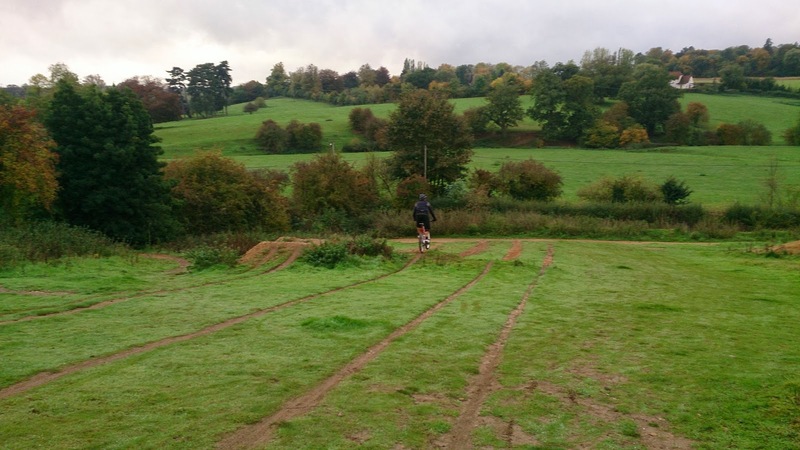 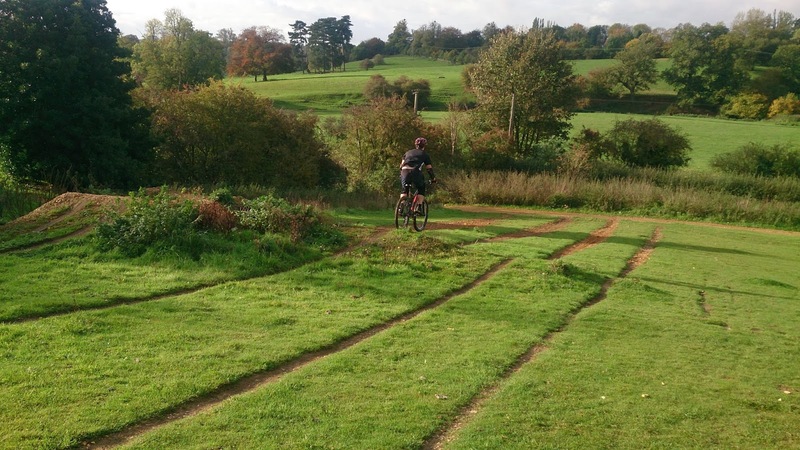 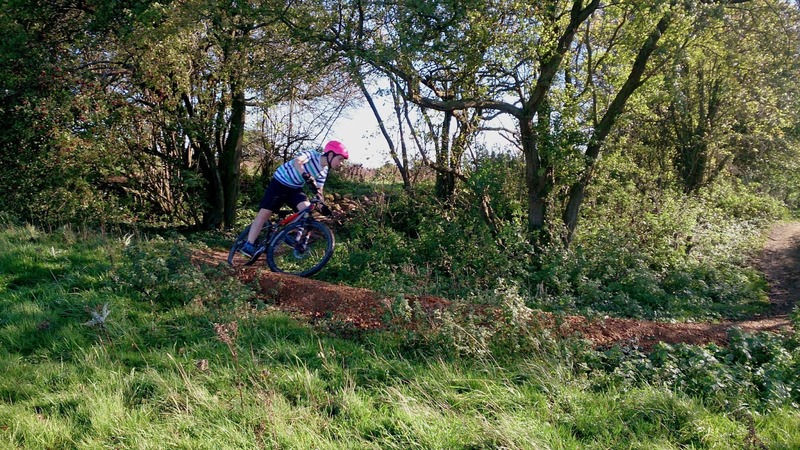 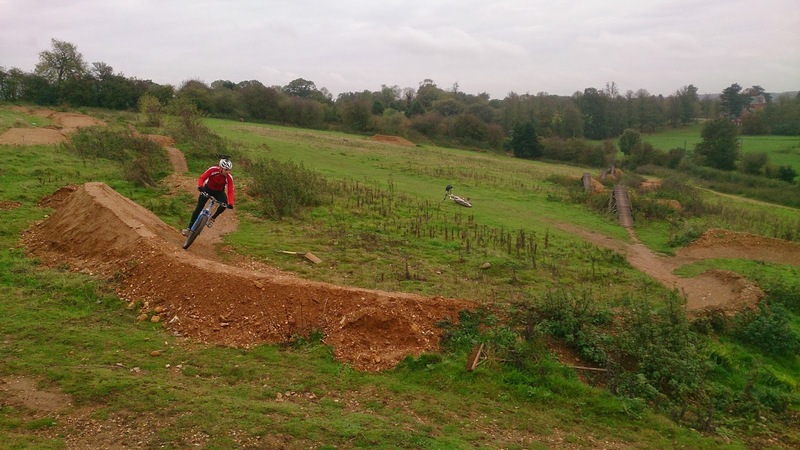 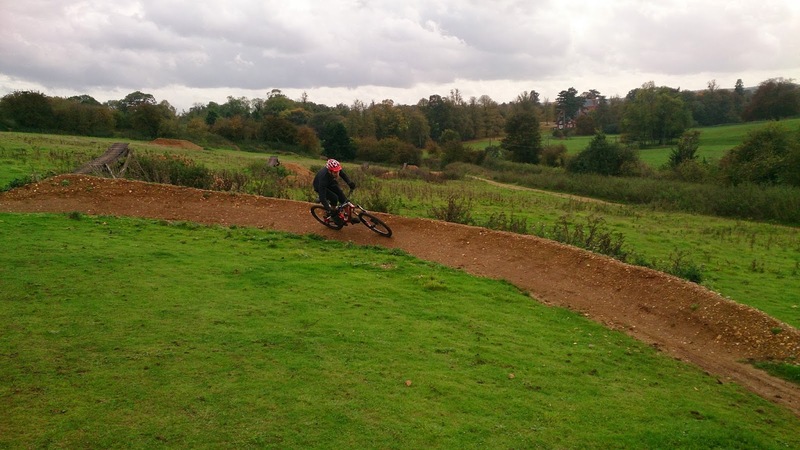 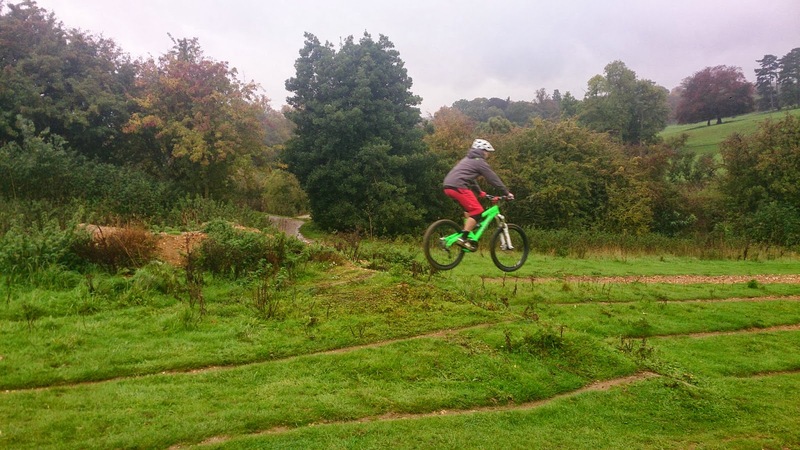 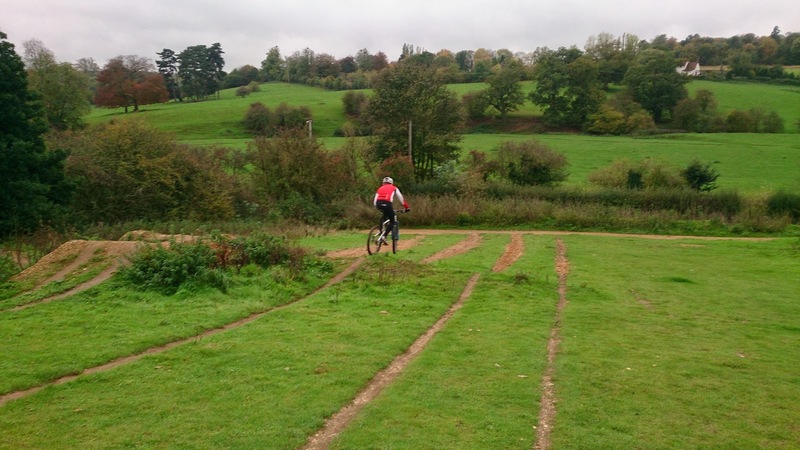 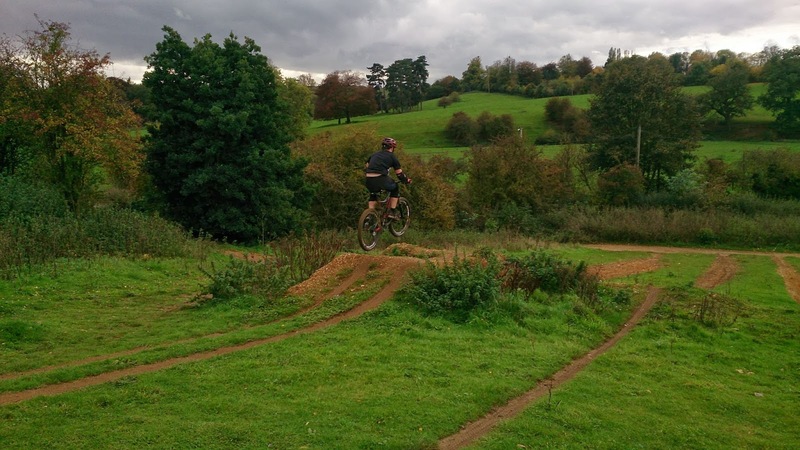 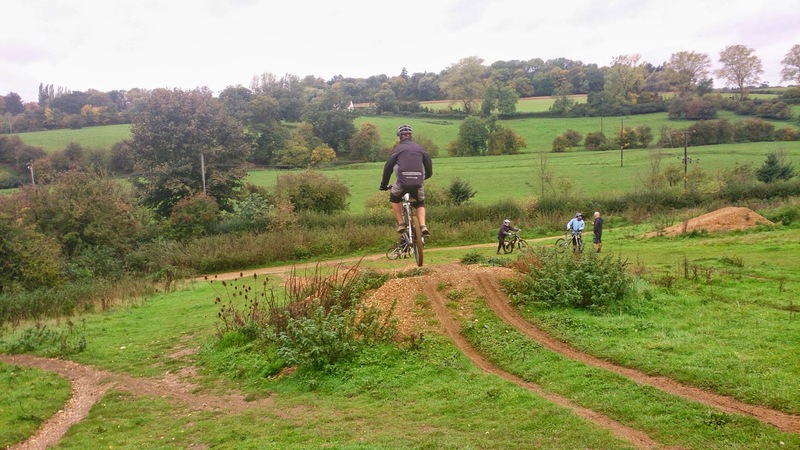 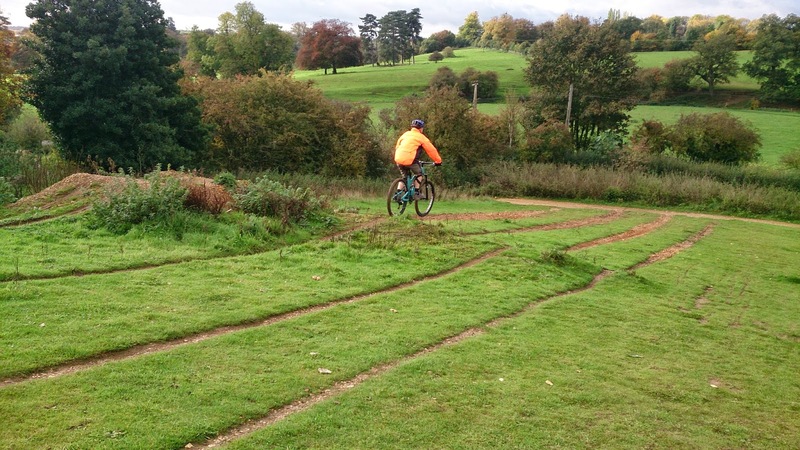 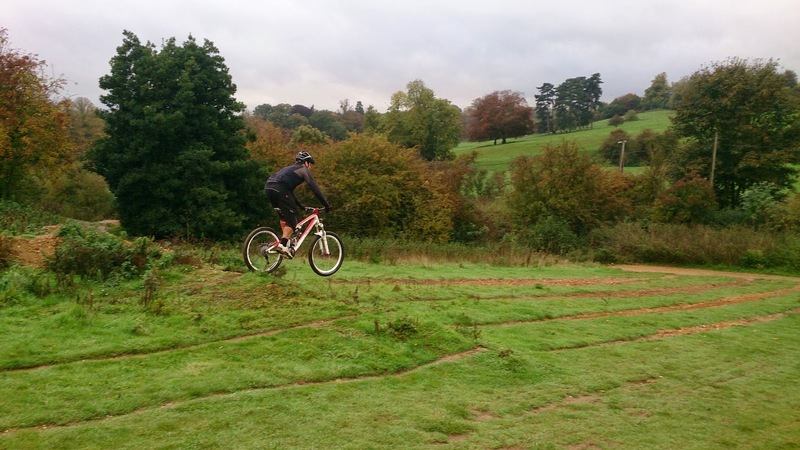 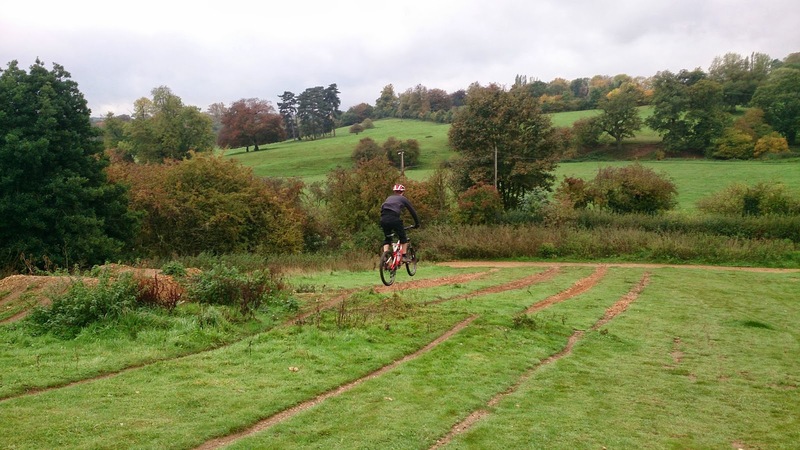 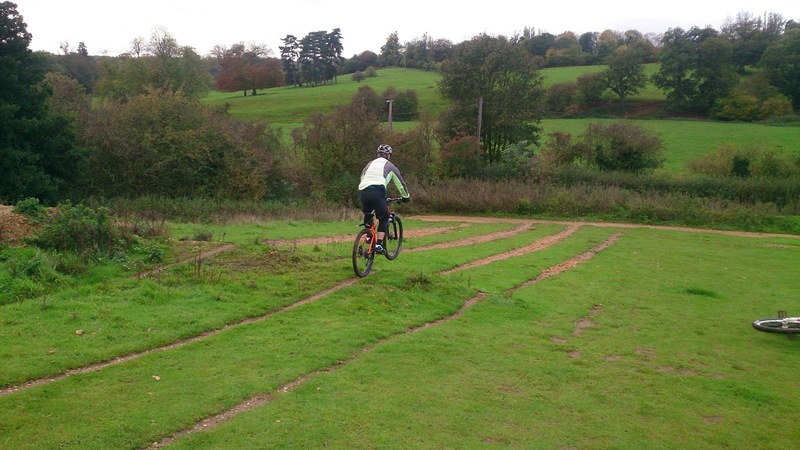 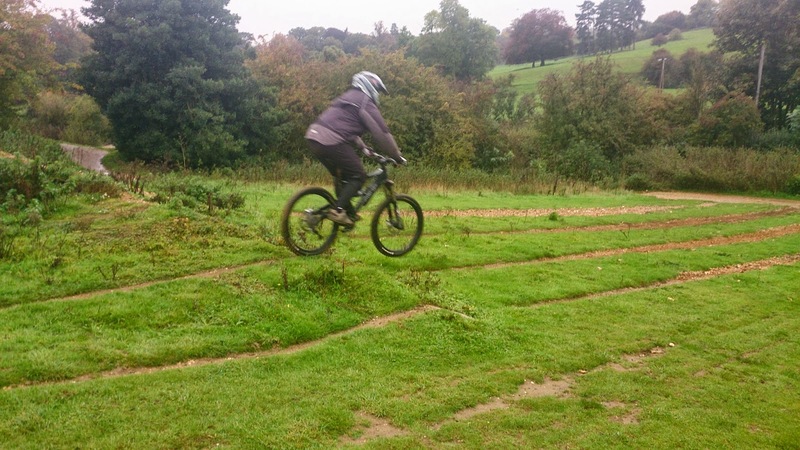 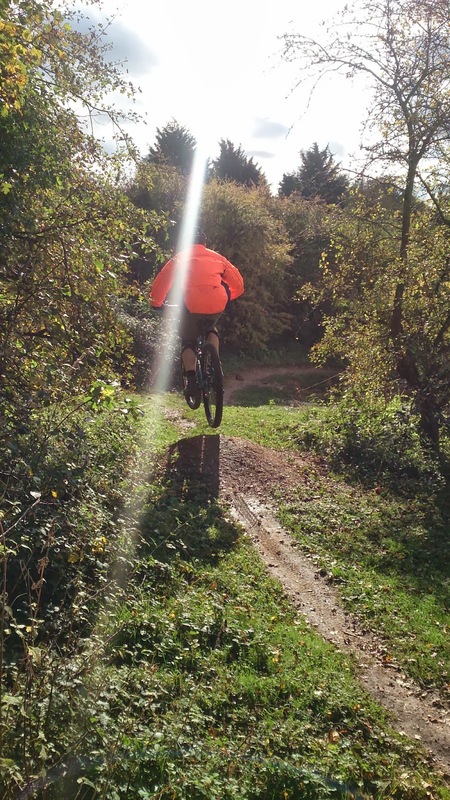 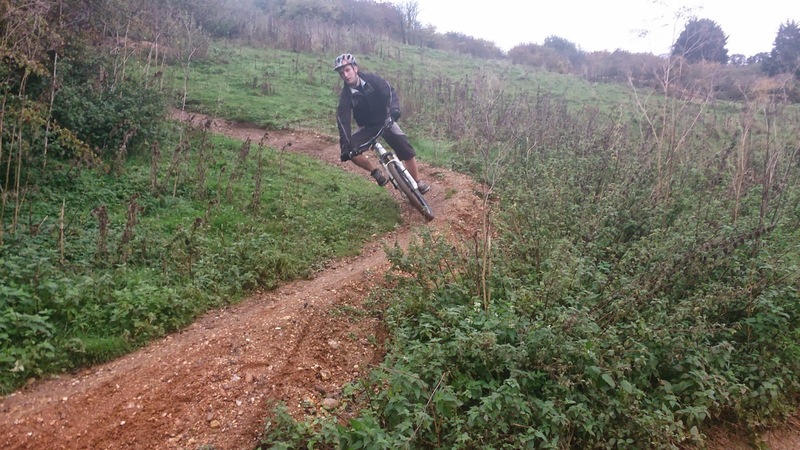 Nathan took time out from preparing the trails for his coaching session and watched, commenting at how fluid he now looked compared to last year. Now Gordon was buzzing and we moved back to the pump and jump trail and this time worked on the whole trail. 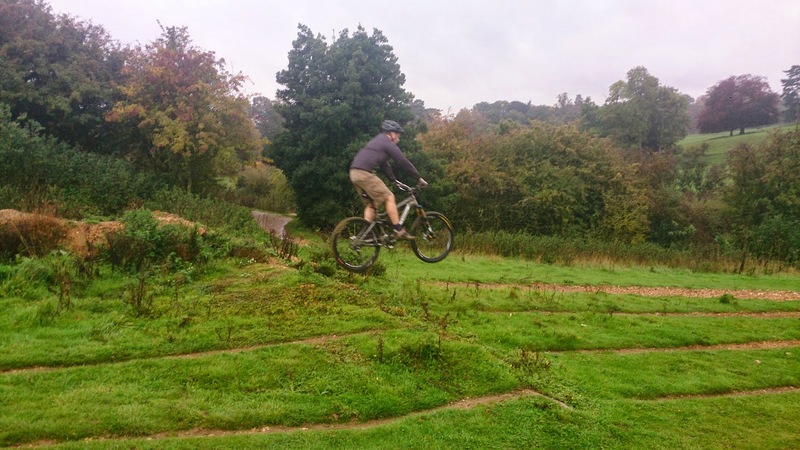 Now Gordon was choosing whether to manual, pump or jump sections on the trail and choosing to jump a 14ft tabletop at the end too! 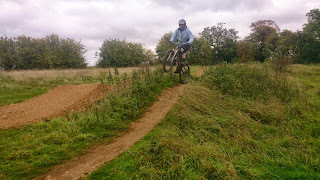 An awesome session came to a close after a good few more runs as mental and physical tiredness has bettered him. 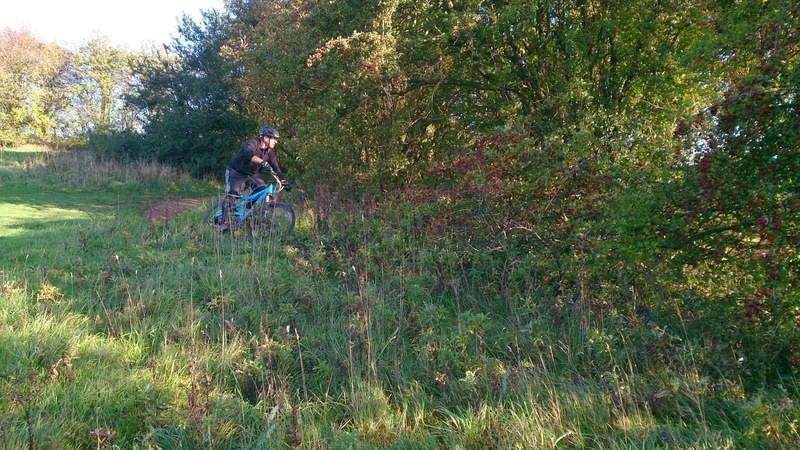 Otto, Gareth and his dad Harry turned up as arranged after being recommended on a forum. 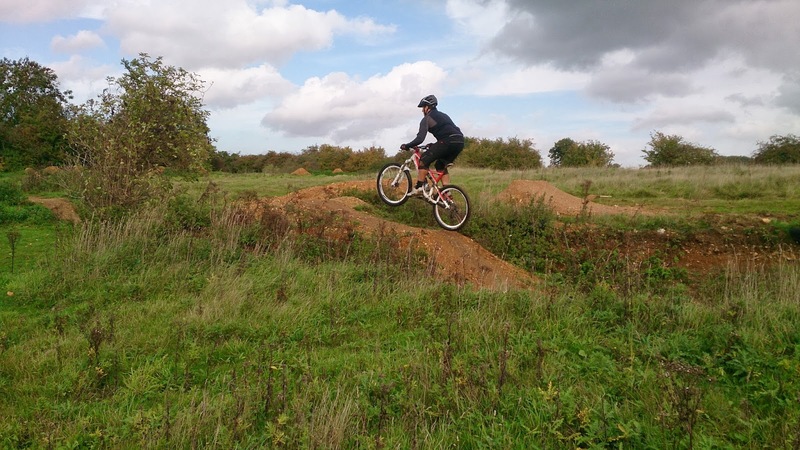 We began with the skills check and I saw that they needed work on looking, body positioning and footwork and I made some set up changes to their bikes also. 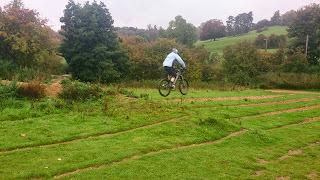 We began with the drop technique and they used their new mental and physical skills to decide to ride either of 3 drops and soon they were landing perfectly. 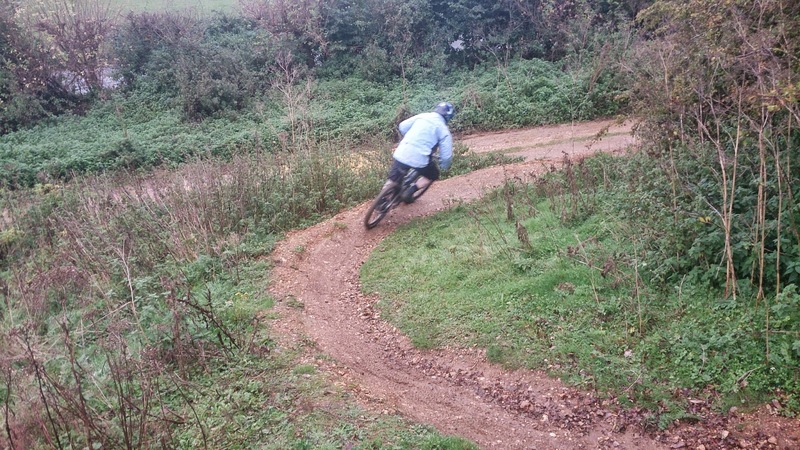 A cornering excersise followed to work on body positioning and its effect on grip before heading to the top half of the skills trail. 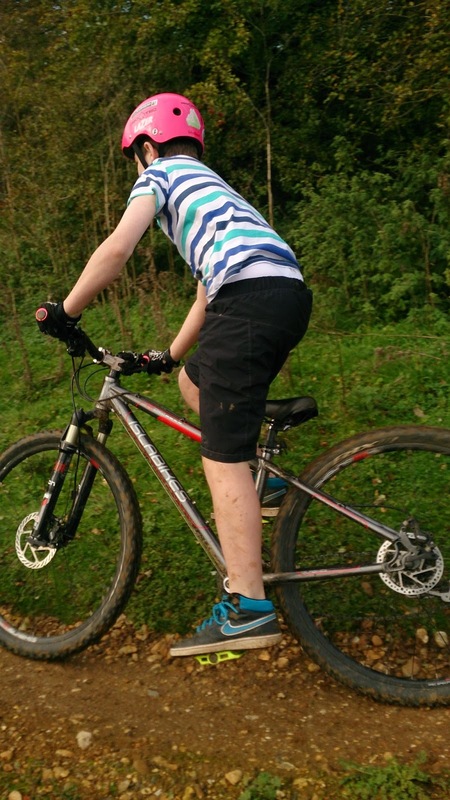 Otto is only 12yrs old and his ability on his bike was clear to see but once polished, he along with the others were getting faster and smoother too. 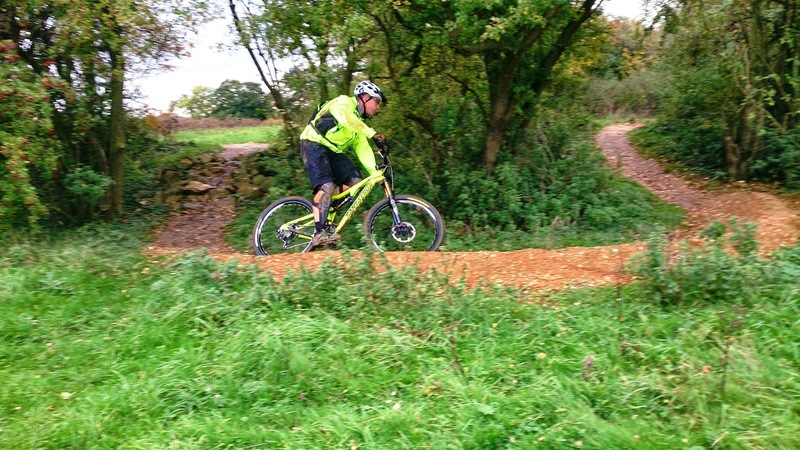 We worked on absorbing and pumping a section on the trail and carried this speed through 4 corners and a rock garden. 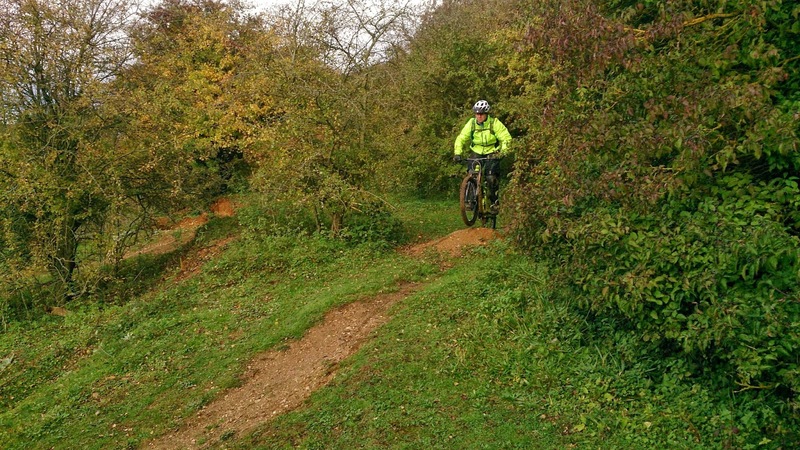 We took a break for much needed drinks and food and resumed, adding the next two sections of the trail and it wasn’t long before they were riding the whole trail top to bottom. 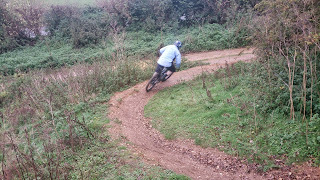 Flat, bermed, off camber and switchback turns were linked to rock gardens, pumping, drop offs, absorbing steps and drops. 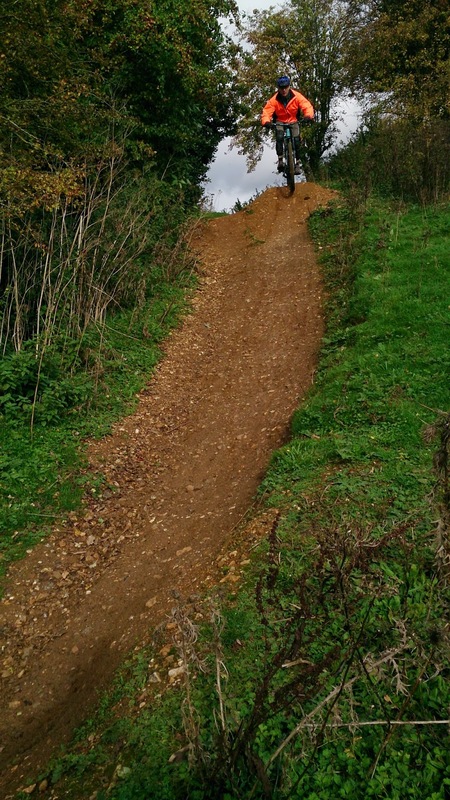 each complete run of the trail was smoother and any errors were already being self diagnosed as they now knew why it was right or wrong in any section. 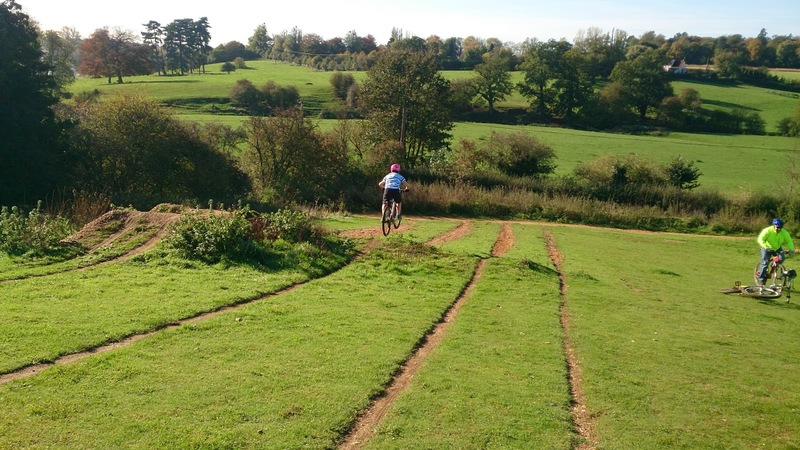 As they rode i could see that they were tiring mentally and Gareth soon declared himself tired, closely followed by Harry and Otto and our session came to a close in beautiful blue skies. I coached Mike a few months ago in a public session and he wanted to develop his riding even more so booked a private one to one. 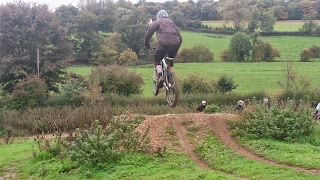 The skills check showed me that I needed to work on his looking skill as the learning from the previous session had stuck. We began with the drop technique and started working on effort for speed whilst applying his mental and physical skills. 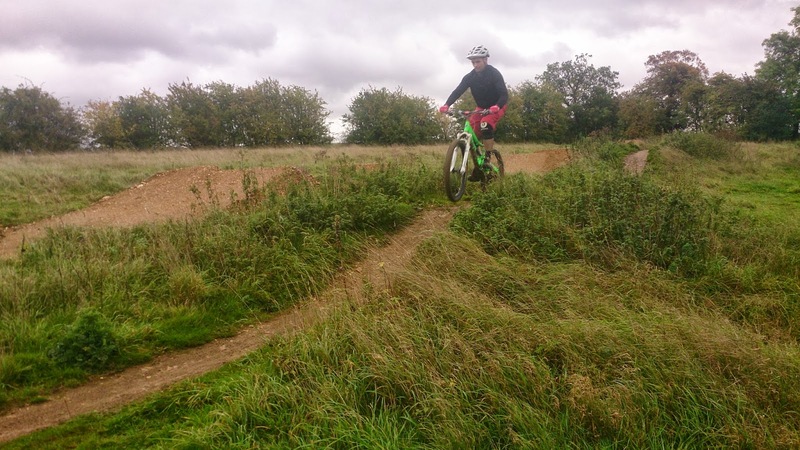 From there, we moved to the pump and jump trail to work on his absorbing and pumping to stick to the ground during multiple sections and linked a berm in at the end and carried speed out of it. 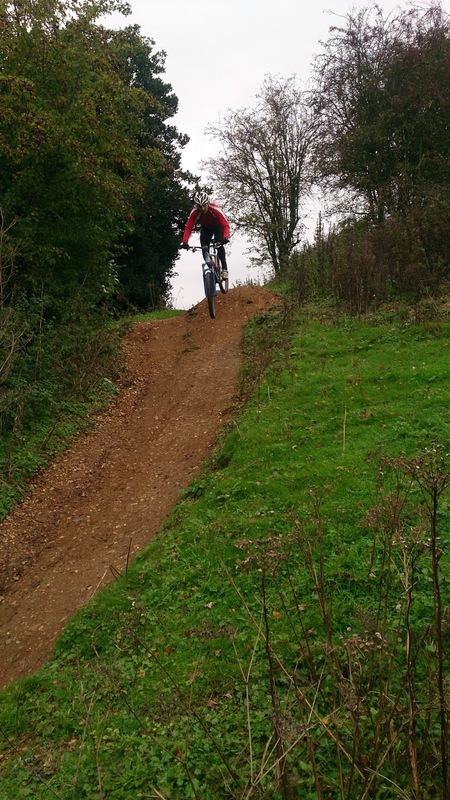 We too a break and then resumed with jumping using a 6ft tabletop this really paid off as when we moved back to the original trail Mike was able to start to choose when and why to jump or pump. 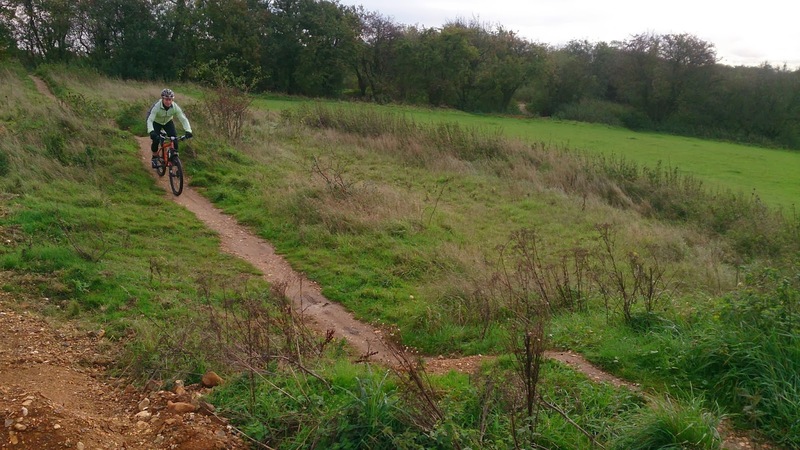 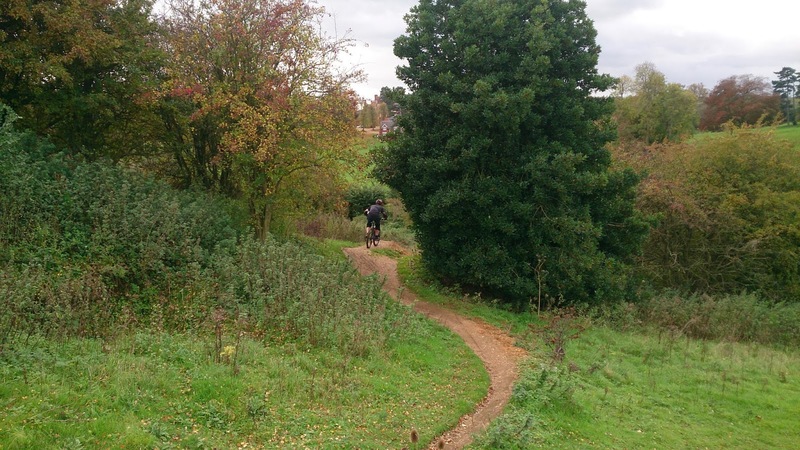 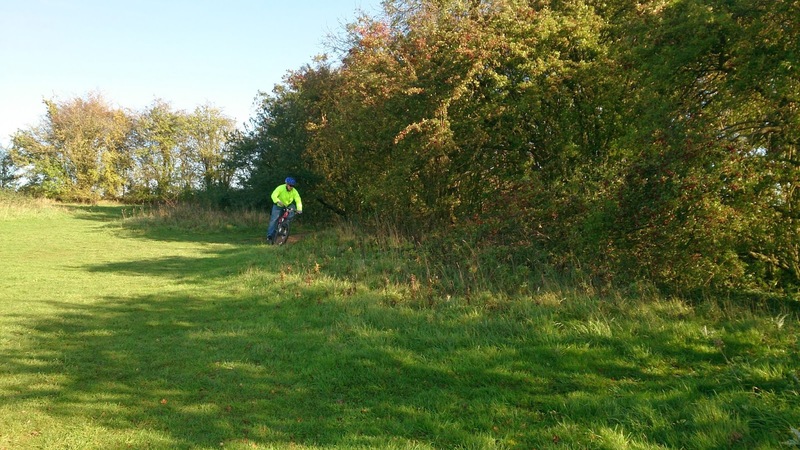 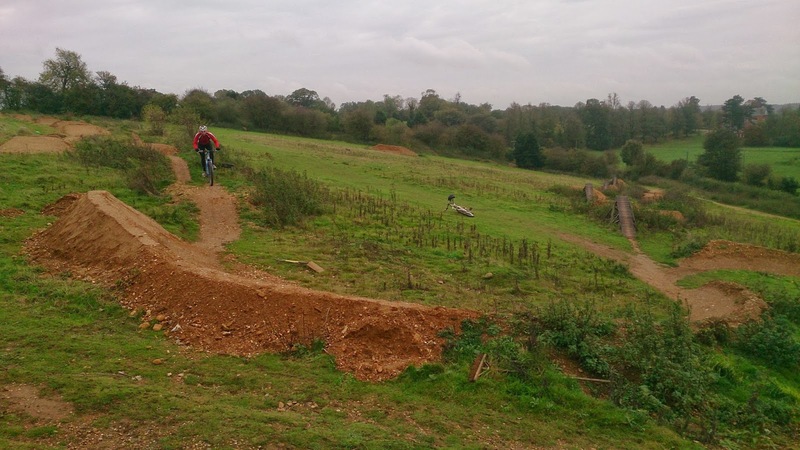 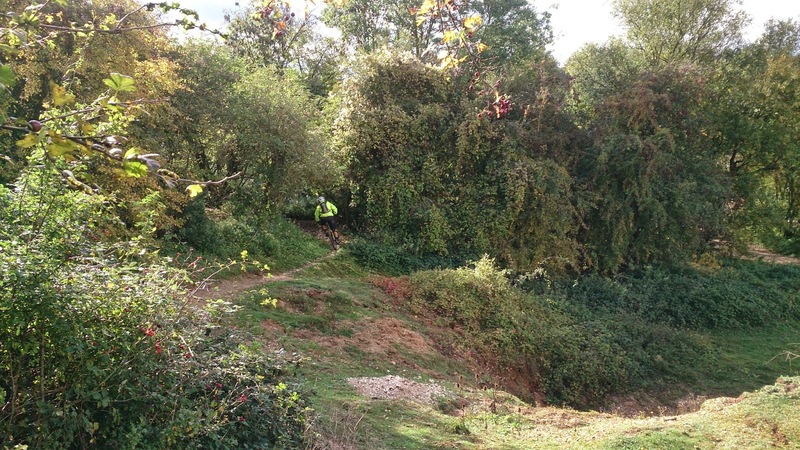 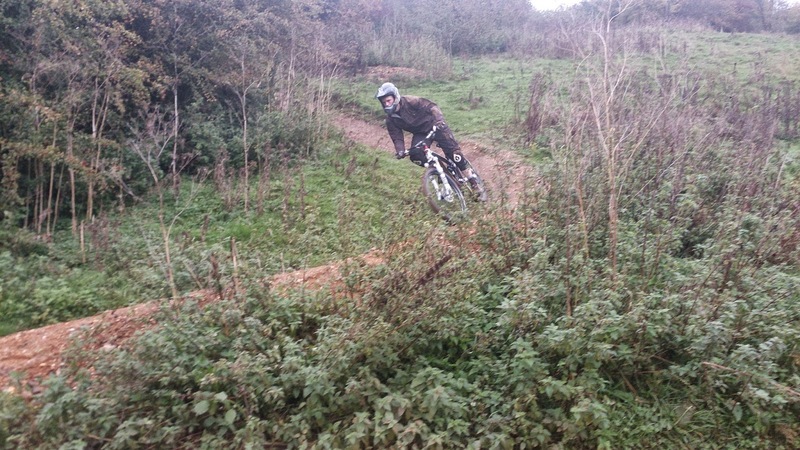 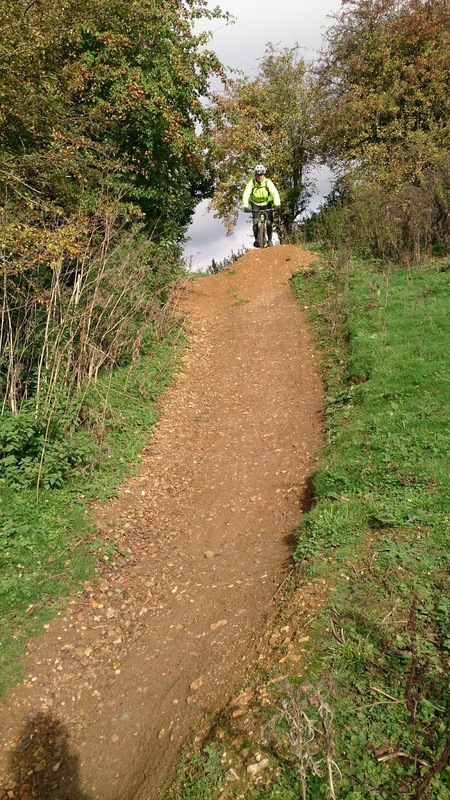 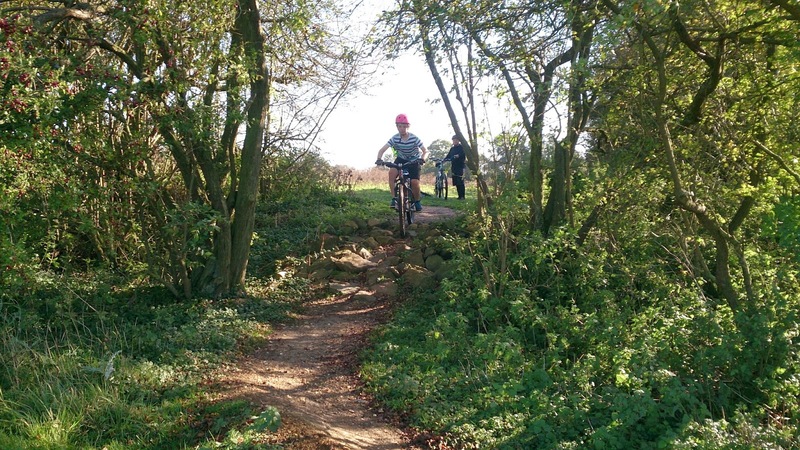 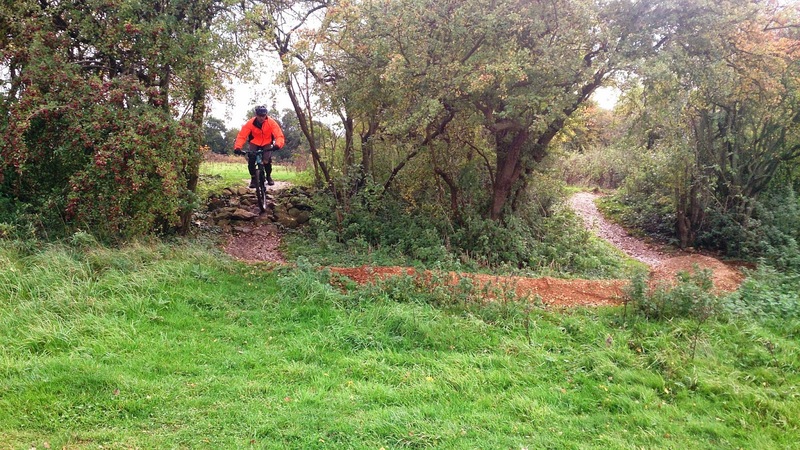 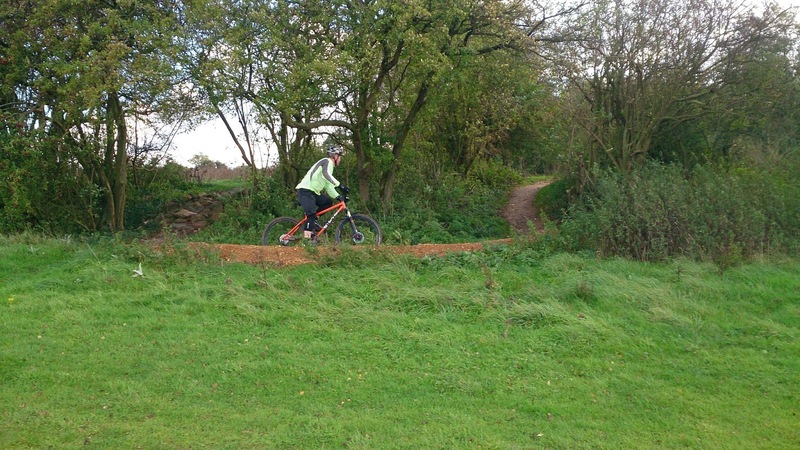 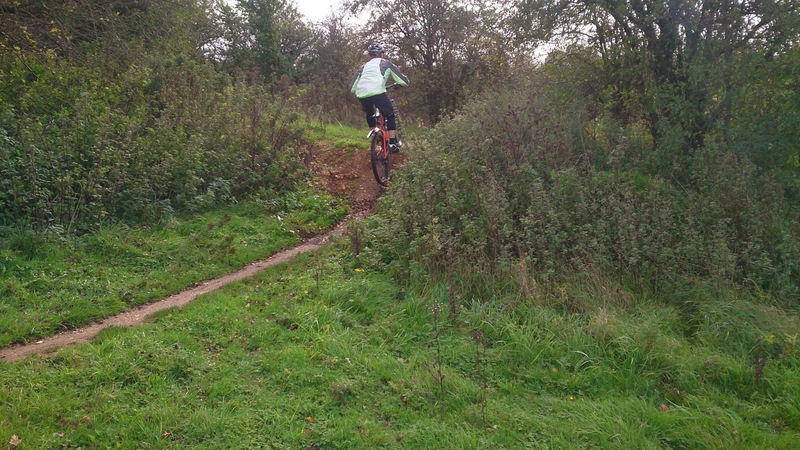 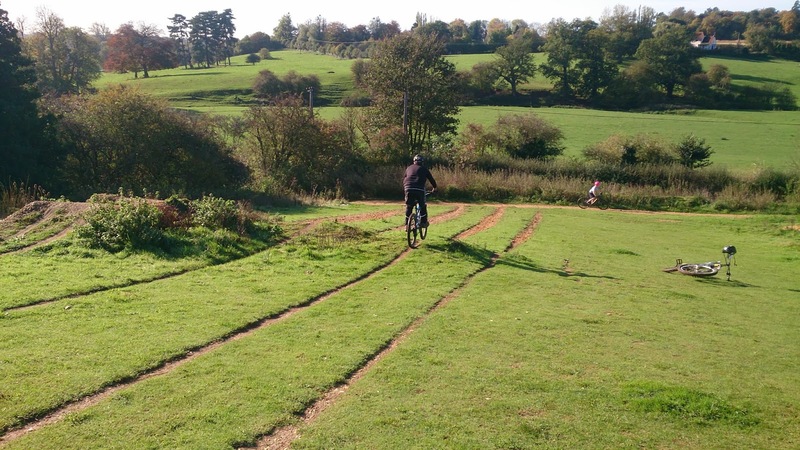 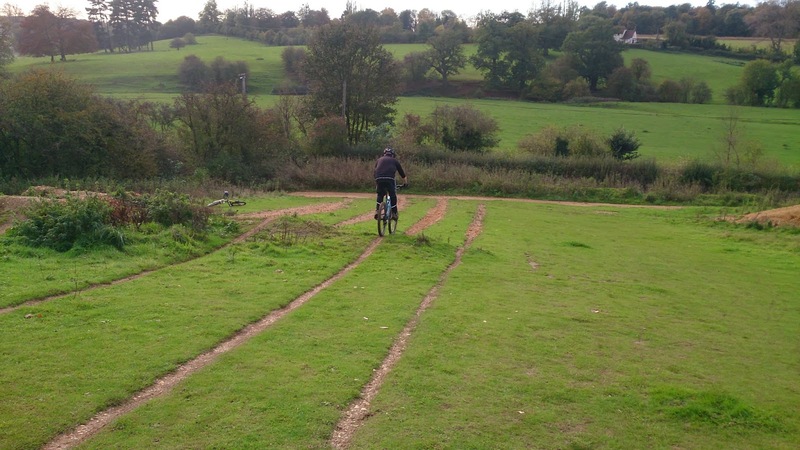 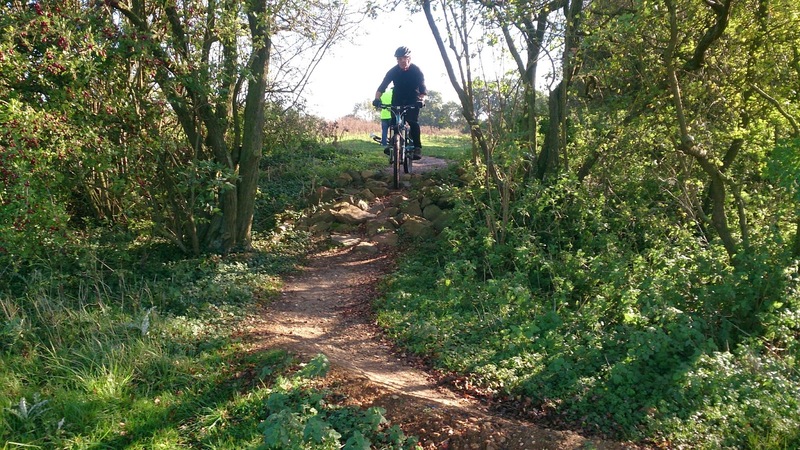 We then moved onto the skills trail and really worked on linking all 14 sections of the trail via line choice and control areas. 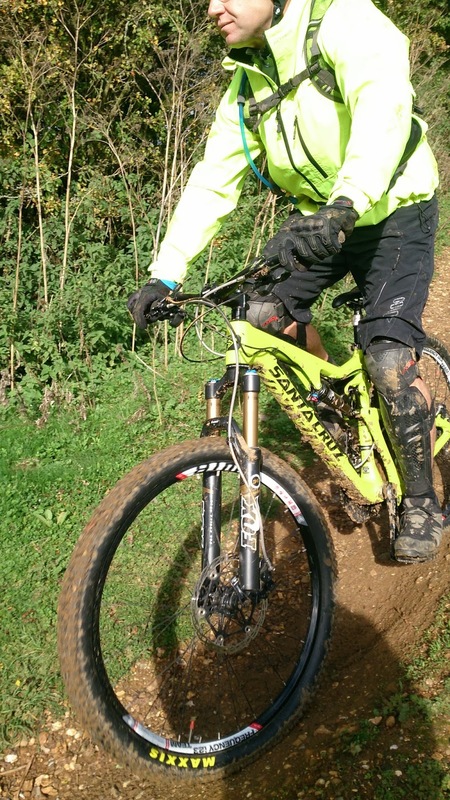 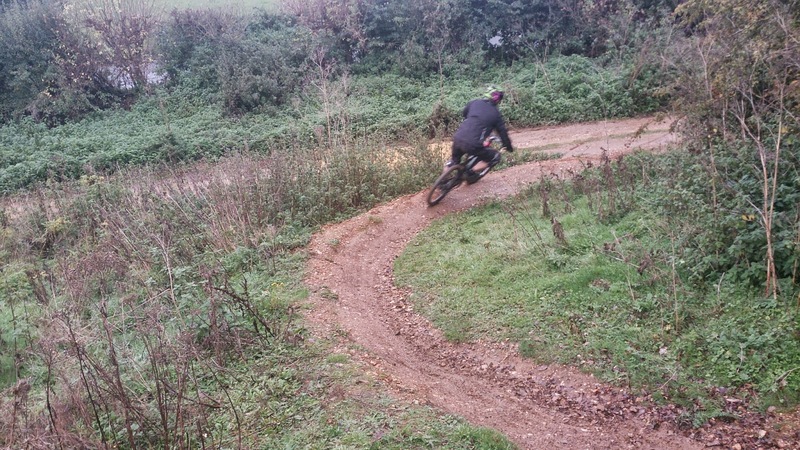 Berms, switchbacks, off camber and flat turns were linked to pumping, absorbing, steps, drop offs and rock gardens. 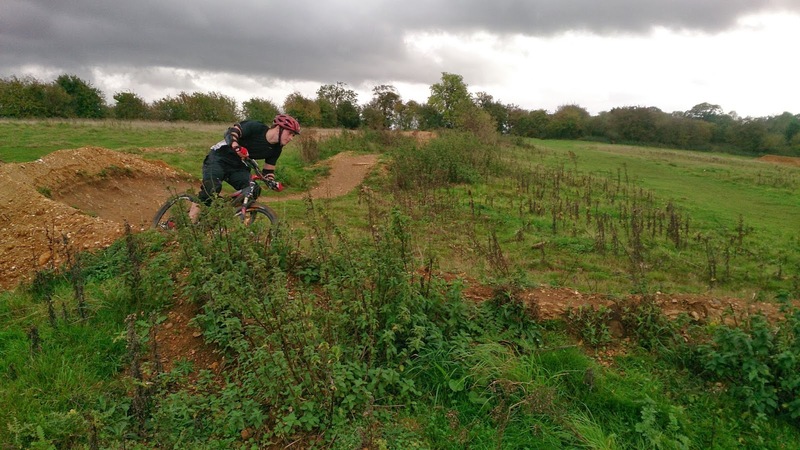 Each run was faster than the previous and my fellow coach Nathan turned up to watch and commented on how much better he looked from when we had both coached him during that public session. 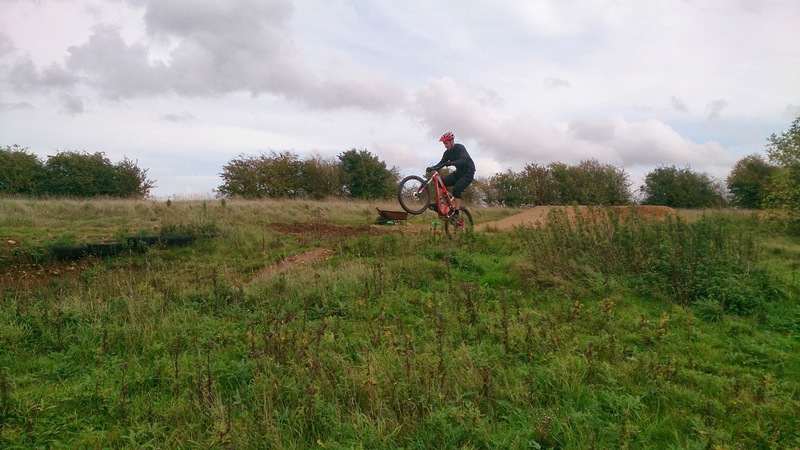 We ended our session linking 2 berms together at the end of the pump and jump and he became faster and faster until mental and physical tiredness go the better of him. 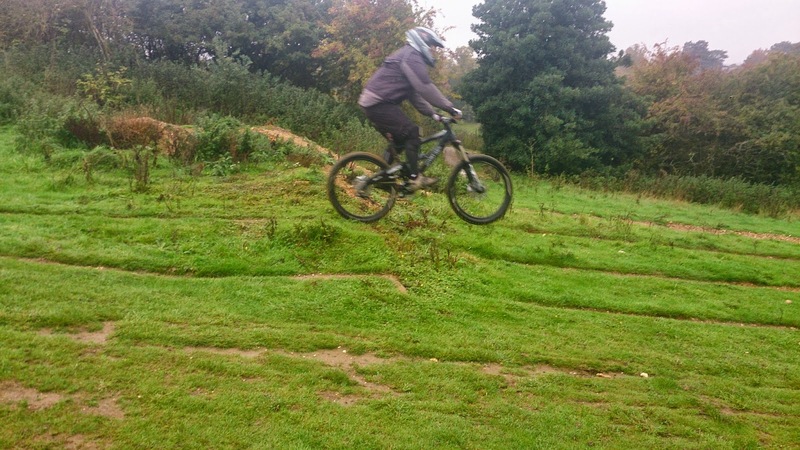 Royston attended a public jumps and drops session and wanted to further his learning and book this private session. 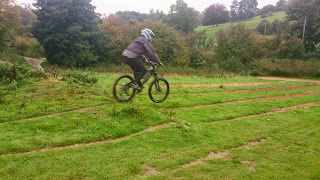 The skills check showed not only the mental skills needed work but also his looking and body position skills too. We began with the top half of the skills trail and linked pumping, absorbing and rock gardens to berms, flat and switchback turns. 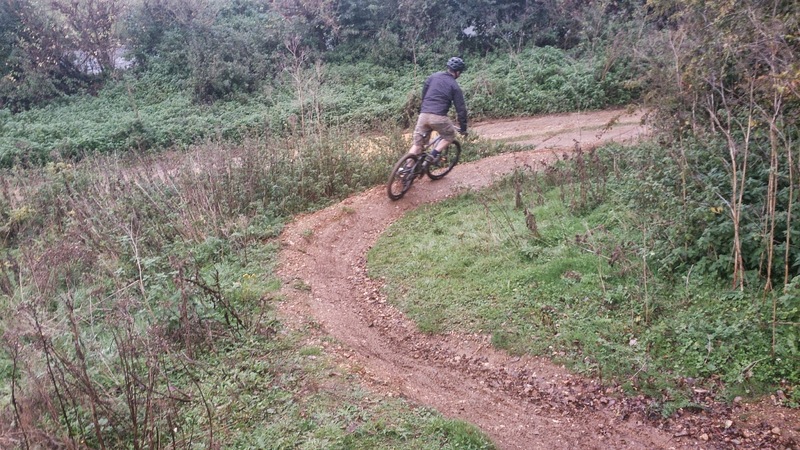 We soon added the bottom half of the trail and worked heavily on cornering techniques and line choice. 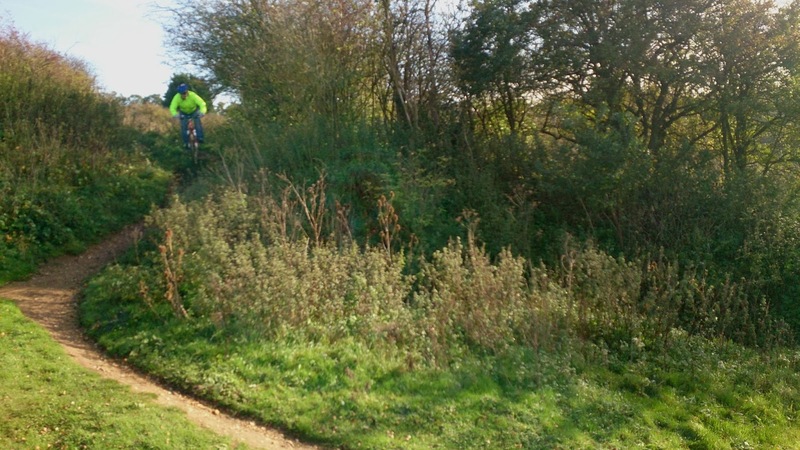 We linked the drop technique and cornering at the bottom of the trail and soon he was railing the trail top to bottom faster than before. 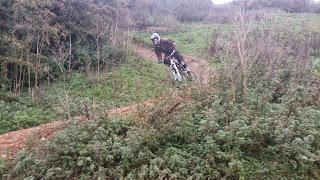 We had a break for coffee and resumed on another trail. 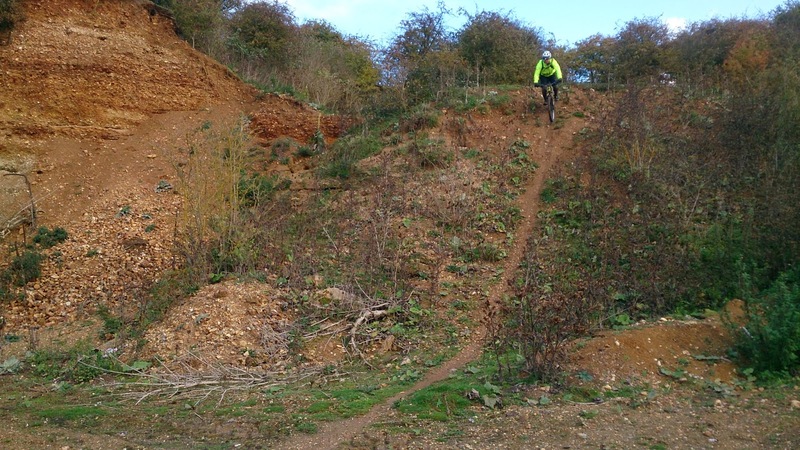 I began with the end of the trail to work on riding down near vertical drop offs and Royston was stunned at how simple it was compared to his old advice he read. 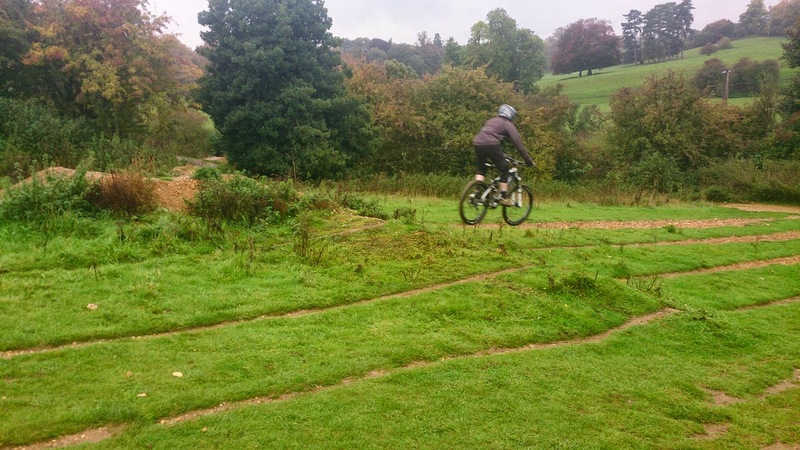 Soon he was riding the whole of that trail and I even worked on moving the bike in the air mid trail and linked all sections on that via braking areas and line choice. 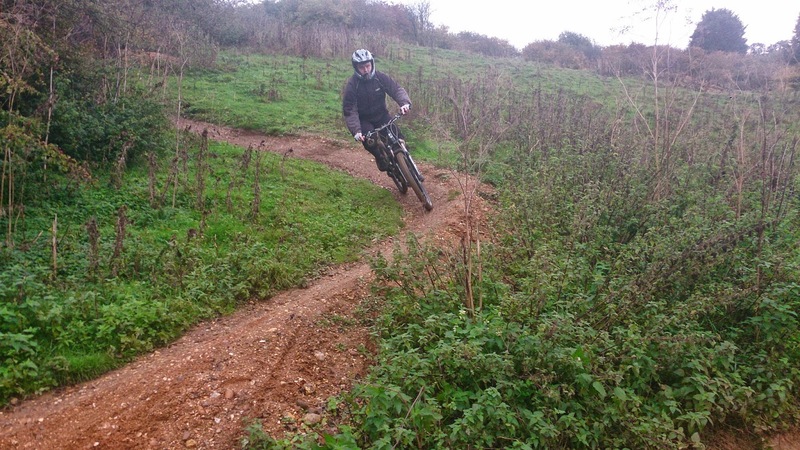 We moved on yet again to develop his trail management of speed and I worked on pumping and absorbing sections of the trail and carrying speed through two linked berms. I could see he was beginning to tire mentally and a few more runs confirmed it to me. 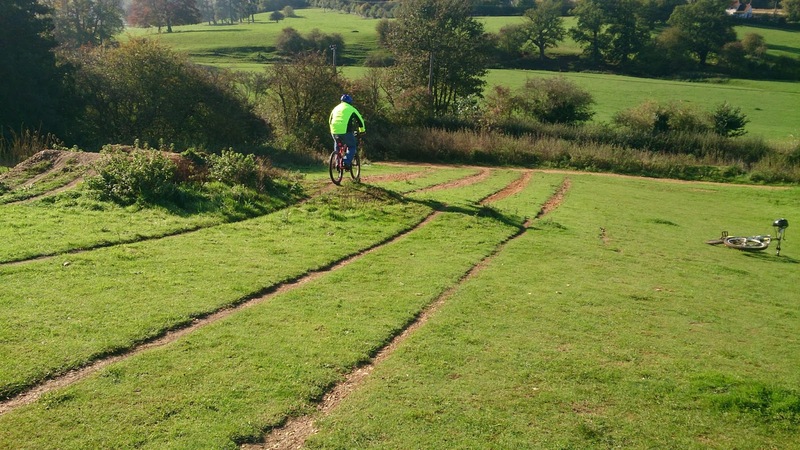 Our session ended after a few runs of the skills trail and we parted our ways and I can’t wait to hear of his future exploits on 2 wheels. Oh and Royston, don’t wreck any more bike bits! 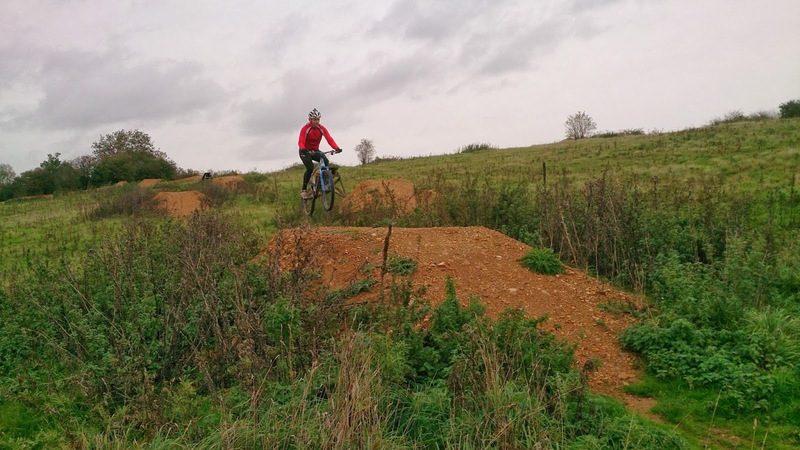 Kas and Matt have been coached by myself before and today was all about the mental skills and filling in the gaps in their application of their skills sets. 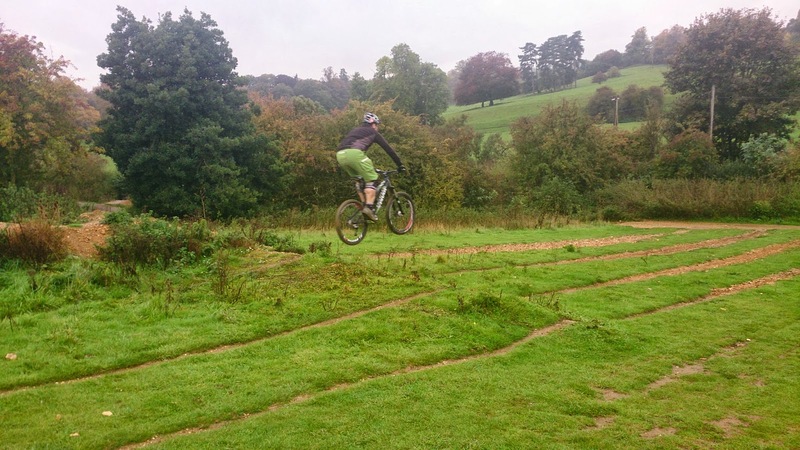 We began with the skills check and quickly moved to the drops when I isolated Kas’s body positioning and worked on Matt’s style in the air. From there, we moved across to the 6ft tabletop and gap jump to work on applying the skills sets there also. 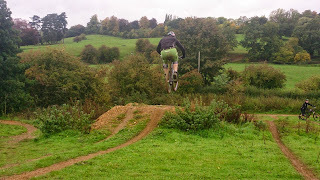 I next wanted to work more on their judgement of speed for distance when jumping and for this I used a 14ft tabletop and they soon got to grips with it. Then we moved to the top of the trail that ends in the 14ft jump and worked on absorbing and pumping sections on the trail to gain speed and gradually they got faster and smoother and was able to choose whether to pump or jump any given section and then carry that speed through one berm. 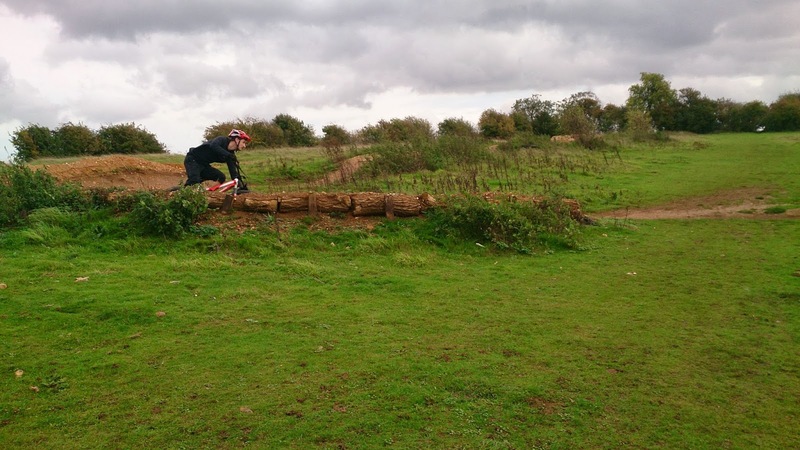 Next I demonstrated why manualing through sections carry further speed in a given section and soon they were trying that too with Matt nailing a few first before Kas followed suit. 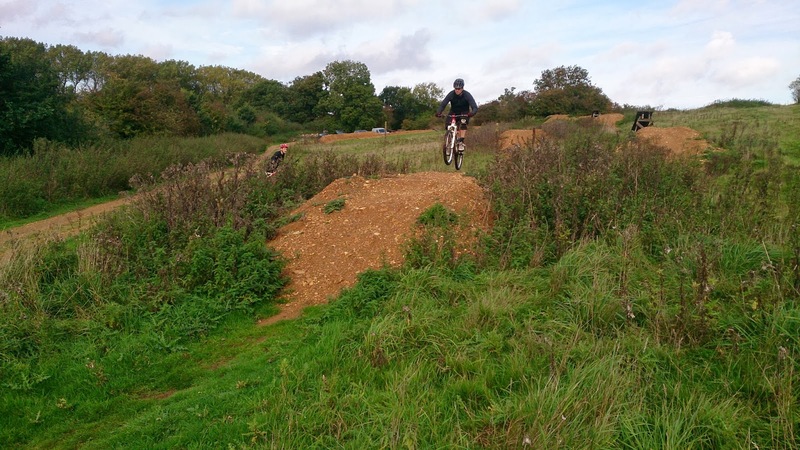 I then worked on linking two berms together and carrying enough speed to jump a 7ft gap jump and Matt used his mental skills to decide yes and Kas knew he wasn’t ready just yet for it and knew why. 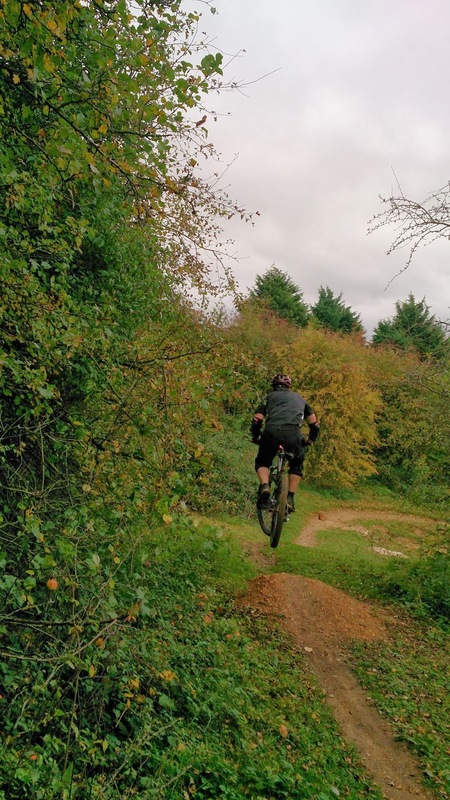 We ended the session with them both pumping and jumping sections on a trail with far greater fluidity than ever before and I can’t wait for their ride updates. 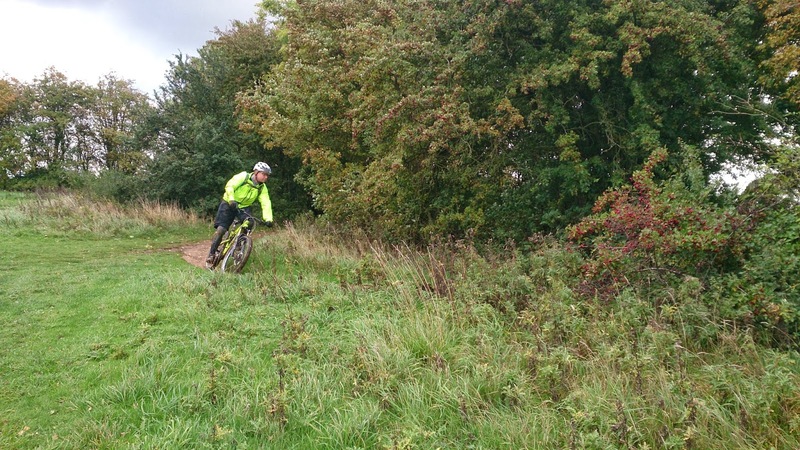 Neil and Simon arrived as arranged for their private skills session and The skills check revealed they needed work on their mental skills and also they were missing body position and looking in all areas. 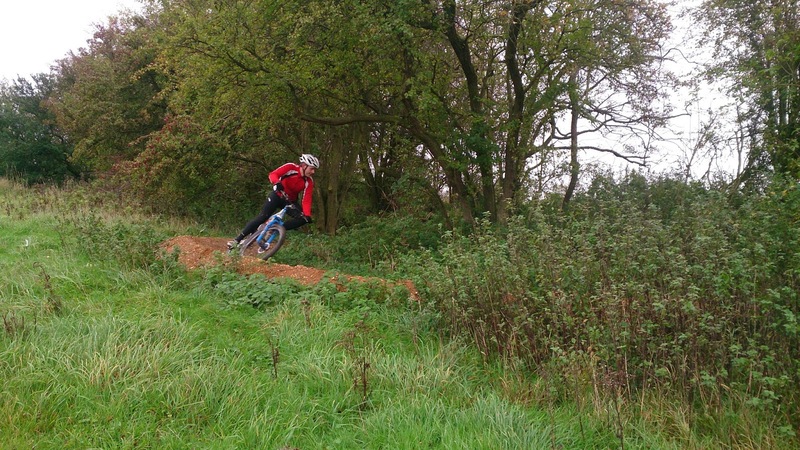 I made a simple set up change and proceeded to the drops to apply their new skills sets to. 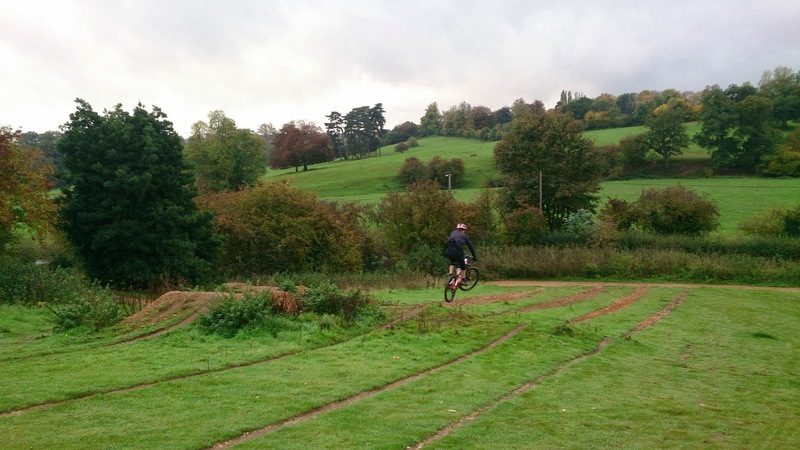 After demonstrations from myself they began and were landing smoothly and perfectly from the word go, a far cry from their old technique of sit back and hope. 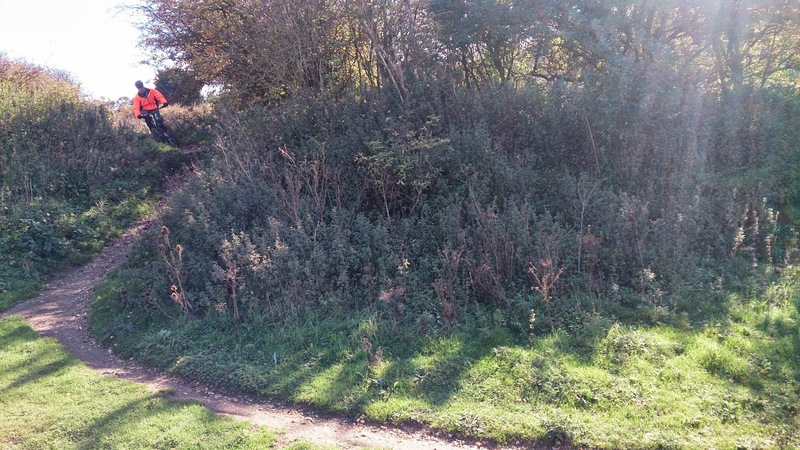 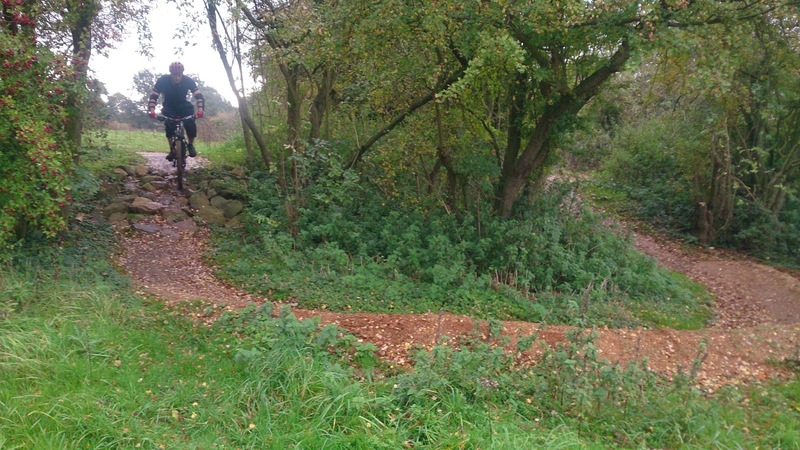 We moved to the skills trail and began working on the top half consisting of four corners, rock garden and a pump mound. 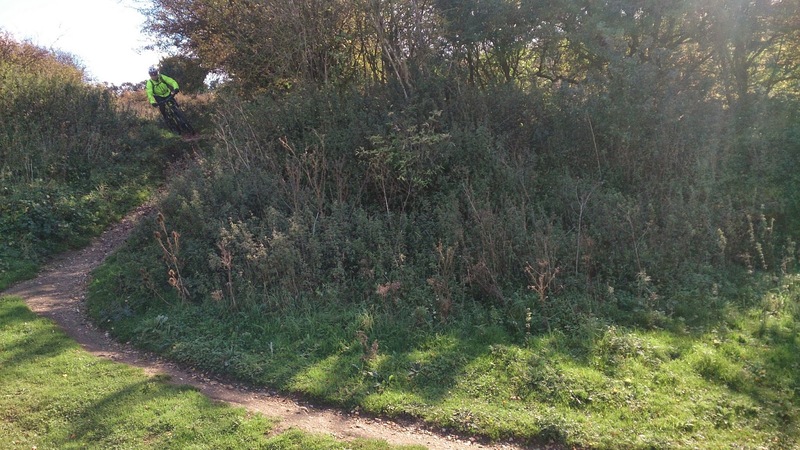 We worked on linking the sections together and any errors were already being self diagnosed as they knew why it was right or wrong in any section. 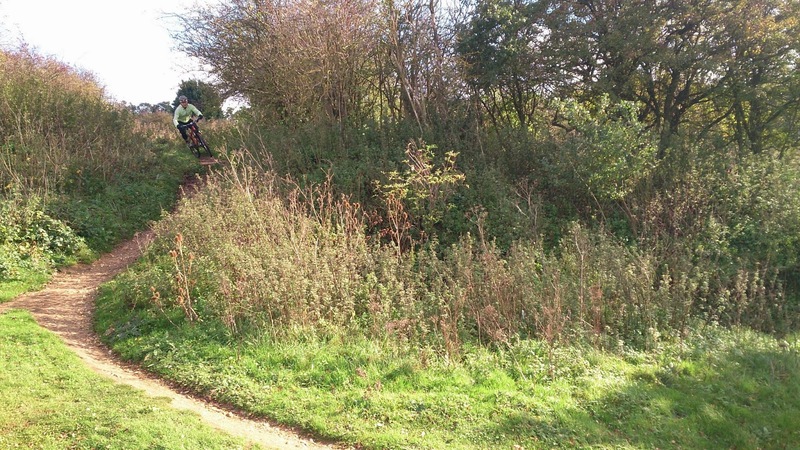 We took a break and resumed by riding the rest of the trail and soon they were riding the whole trail top to bottom and linking all 14 sections of the trail together via line choice and control areas. 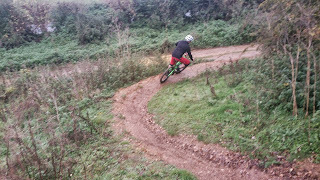 Berms, flat, off camber and switchback turns were linked to drop offs, absorbing, steps,rocks, pumping and drops were all linked smoother and faster than before. 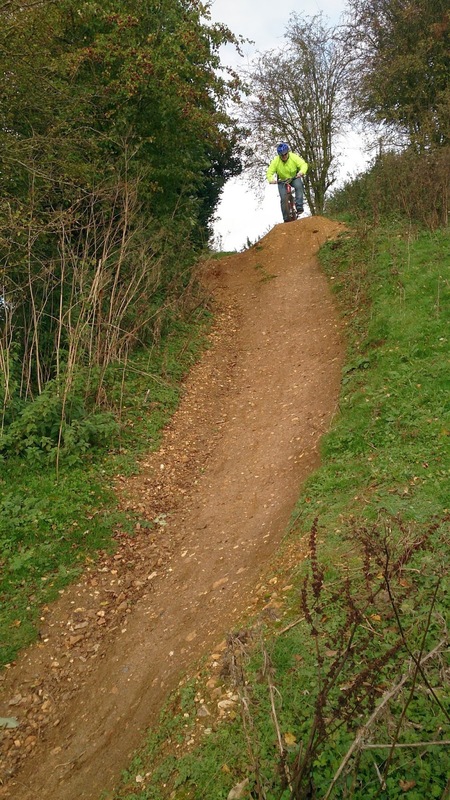 We moved to another trail and worked on riding steep sections including a near vertical drop off and linked the sections before it including a fade away jump and more corners. 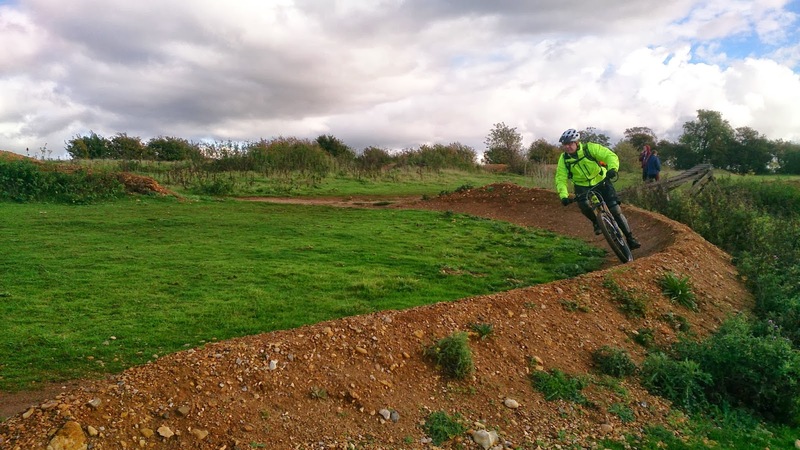 We moved to the pump and jump trail and worked on staying on the ground and pumping and absorbing sections on the trail and linked a berm at the end of the trail into the line too. 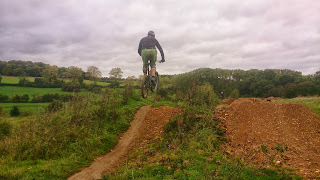 Soon they were choosing whether to jump or pump sections on that trail and linked the end 2 berms into the line now and were flying around the turns with ease. 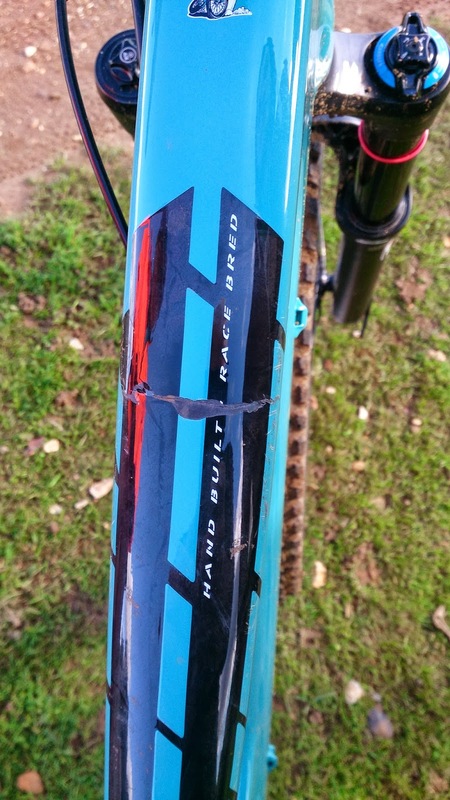 They were showing signs of tiring and when Neil found the top tube of his yeti frame had cracked halfway through the carbon our session definitely came to a close. 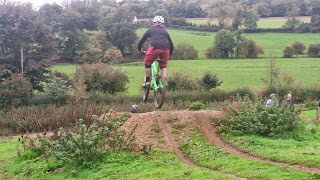 Awesome session guys. 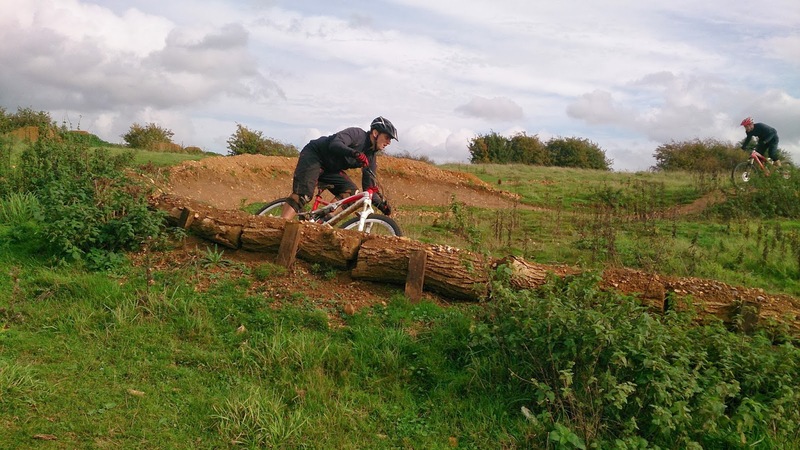 The session started as always with the skills check, where Tony and I uncover a skills set within the riders, and make any necessary corrections here. 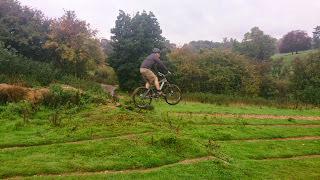 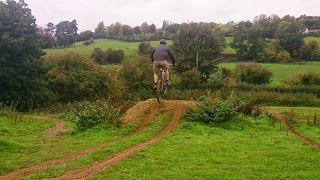 We shortly moved onto the drop technique, where Tony explained the mechanics of riding a drop, whilst I demonstrated. We also gave them a mental skills set, and quickly had them using this within there riding. 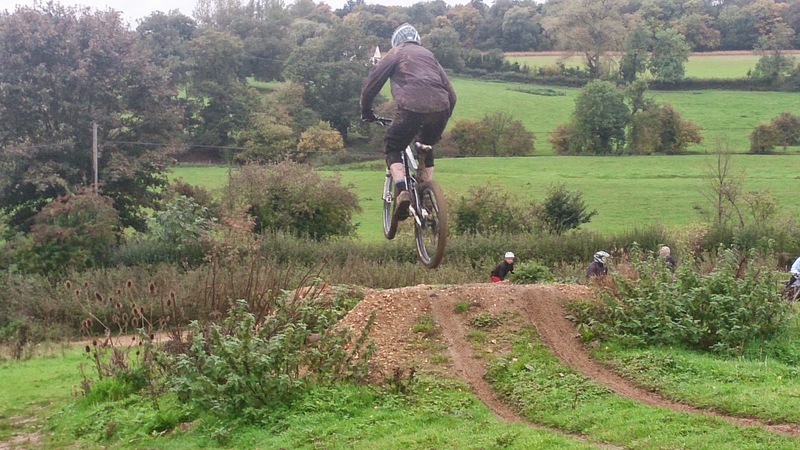 Before long, everyone was riding off the largest of the three drops, and landing perfectly. Some even began to make it look nice in the air. 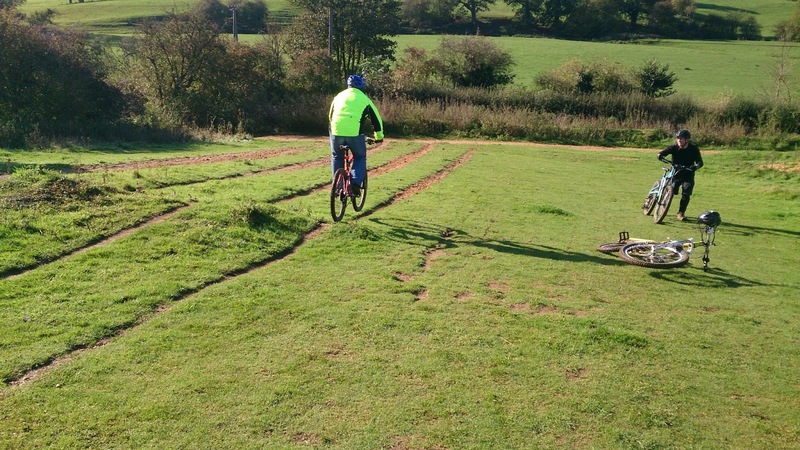 We then did a bit of work on cornering, using a grassy slope, and again Tony explained the mechanics whilst I demonstrated. 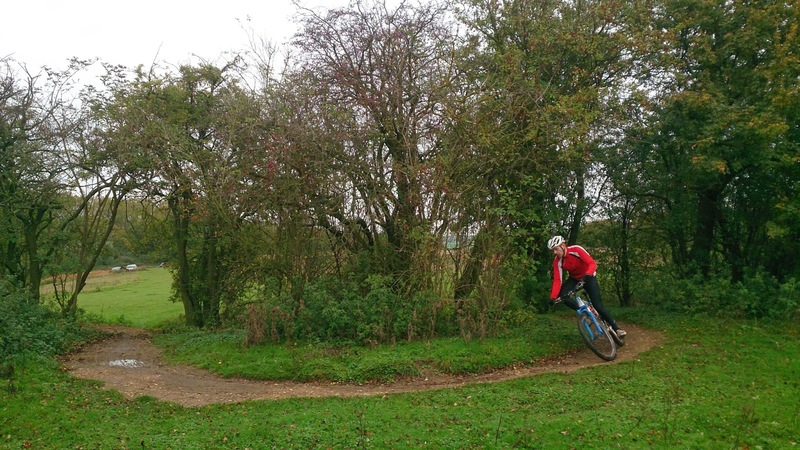 we talked more about the physical skills set, and everyone could soon see how this would have a huge effect on their cornering technique. 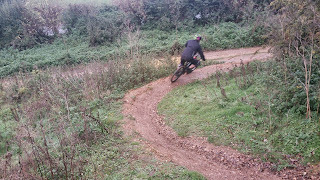 we then applied this by linking drops into corners, which everyone rode with more comfort and control than ever before. 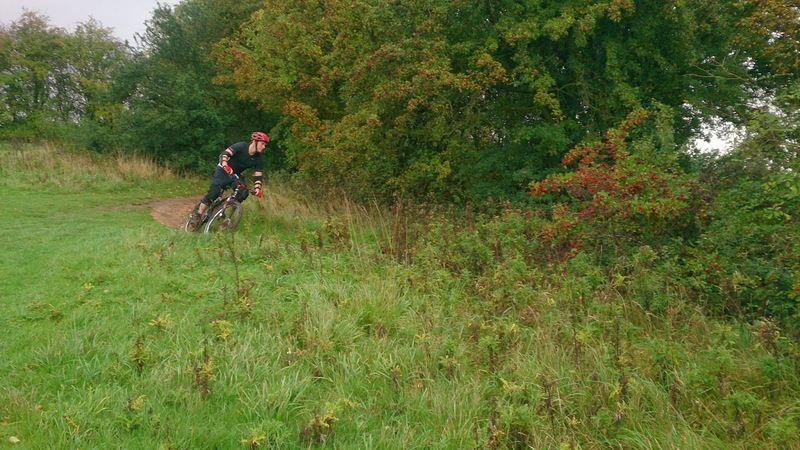 We had a quick break for lunch, before moving them onto the tabletop. 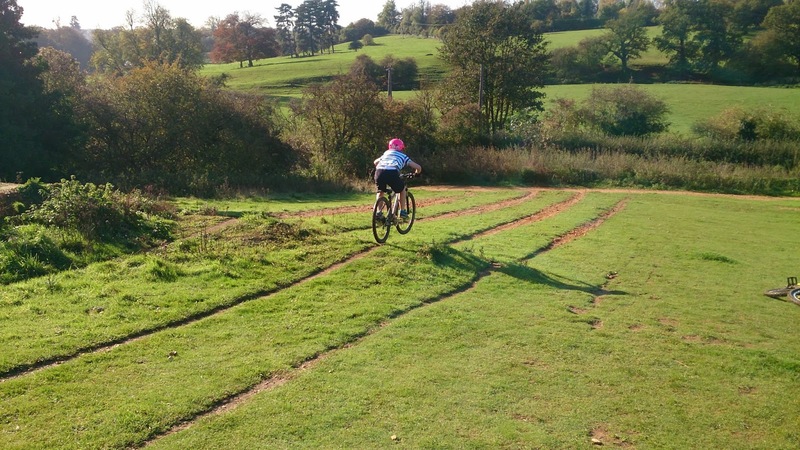 Here we controlled their speed, so they could find a speed that they were comfortable, and be able to jump a certain distance. 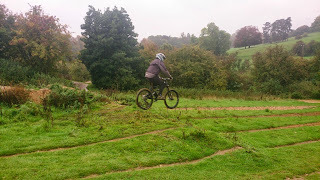 There was also the option of 6ft gap jump which they could choose for them selves if they wanted to ride it, using there new mental skills set. 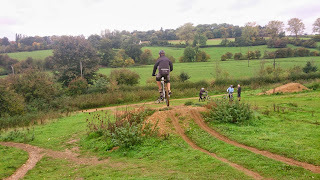 Our session ended on the pump and jump trail, where we explained and then demonstrated what we wanted them to achieve, and soon everyone was riding the trail top to bottom, choosing what sections to pump, jump, and some began to manual, but mental tiredness soon brought our session to an end. 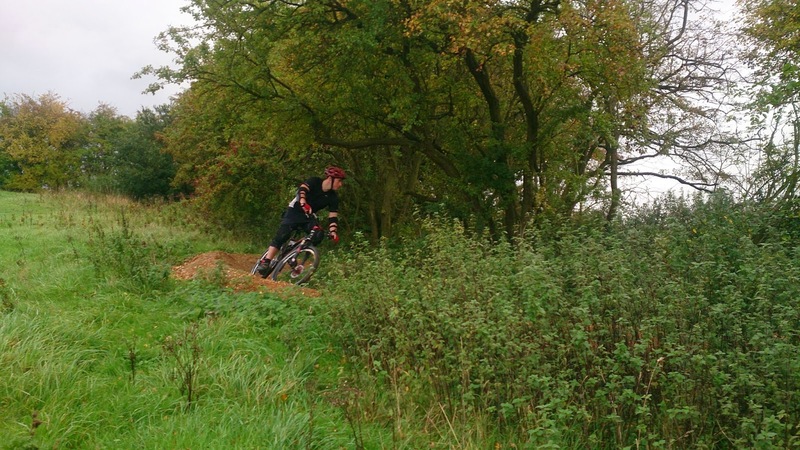 Great session guys!